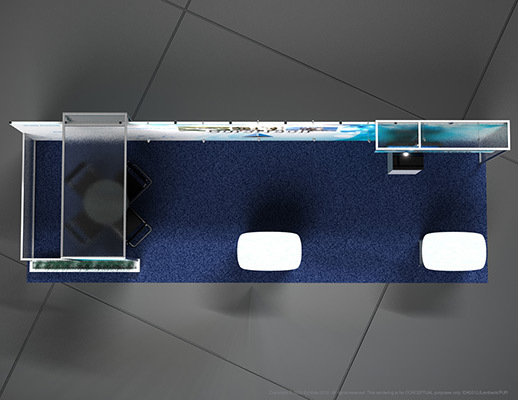 Taking full advantage of the allowable space, this open and inviting exhibit allows for private interactions while leaving plenty of open room for others to explore. 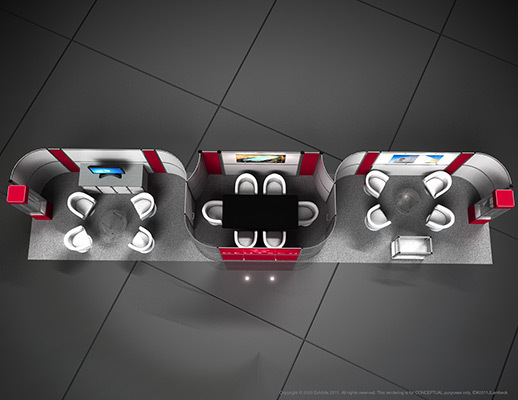 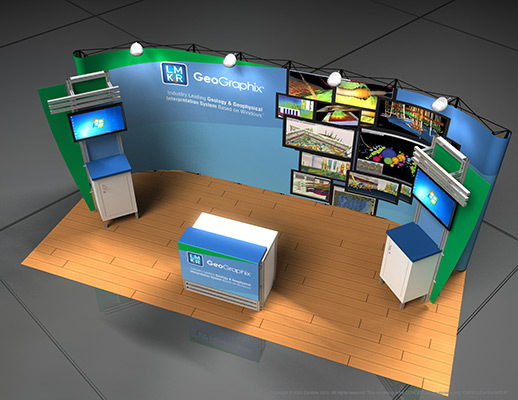 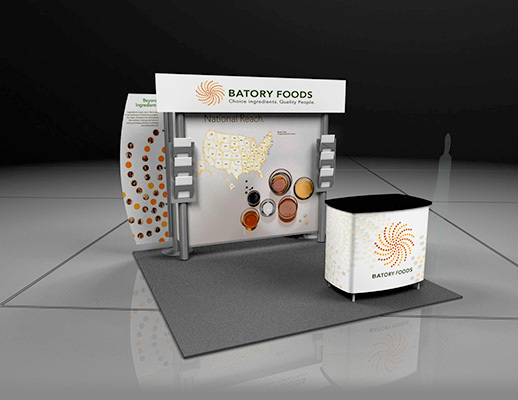 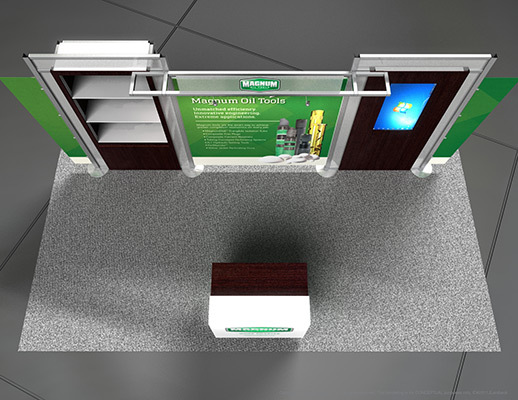 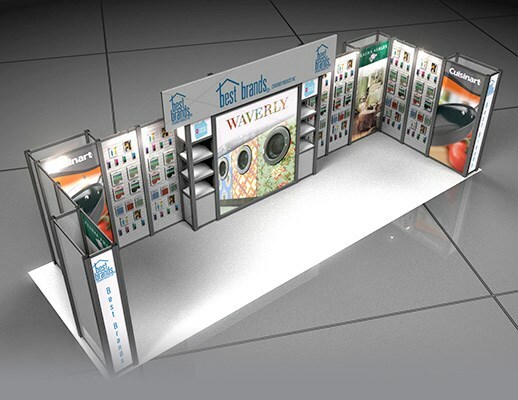 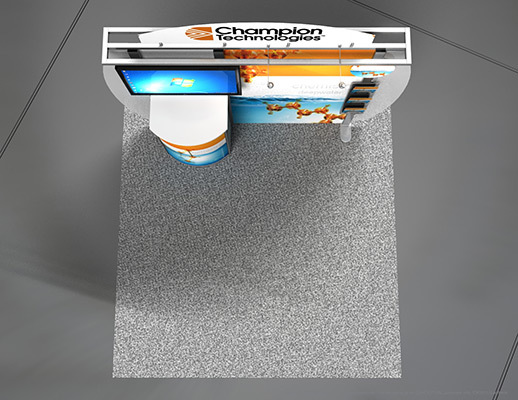 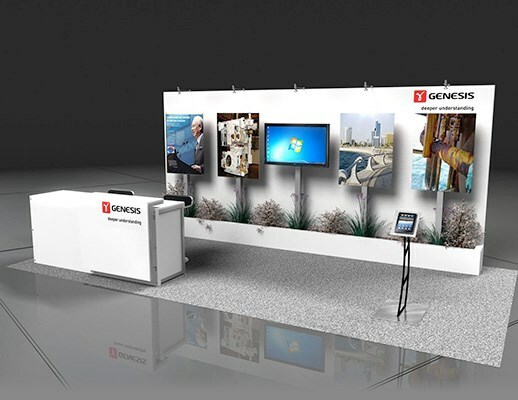 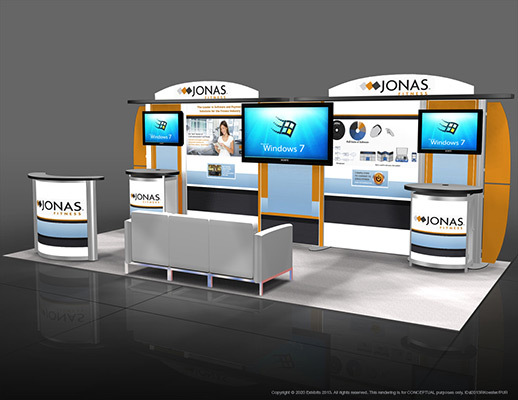 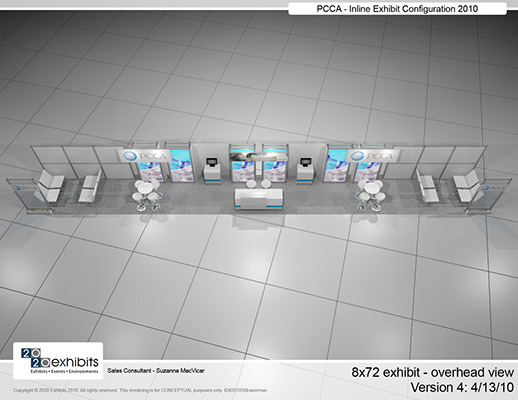 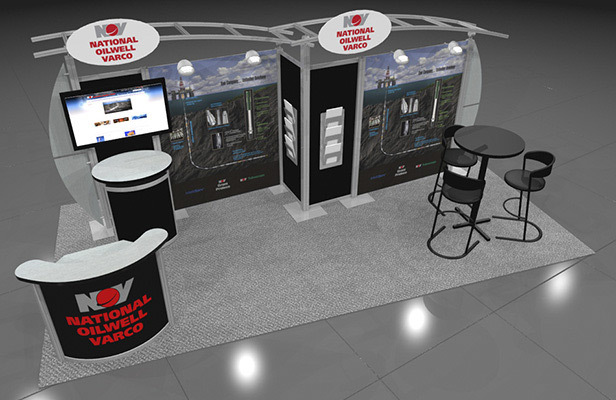 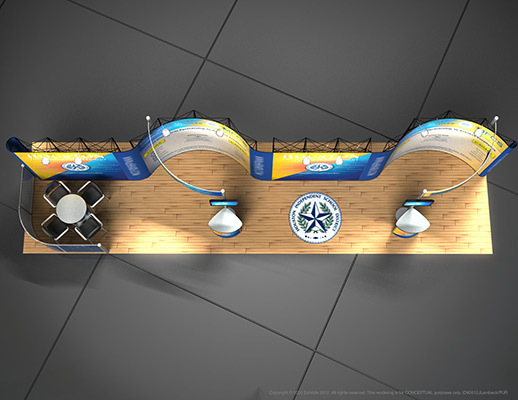 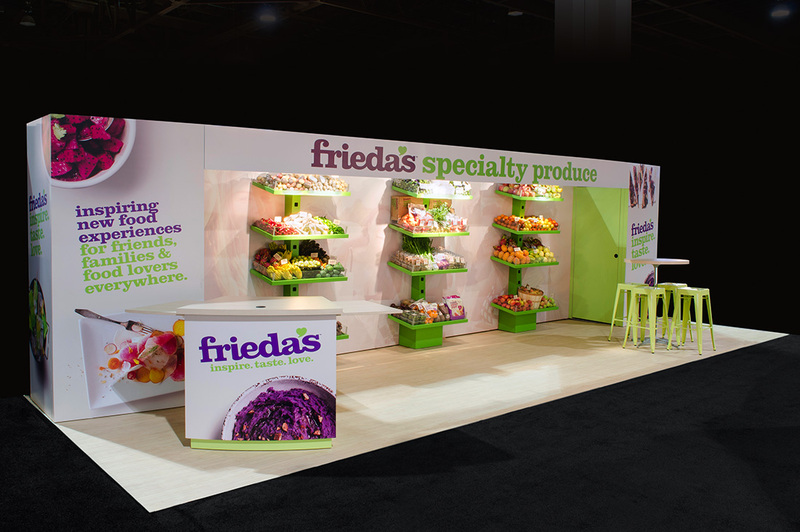 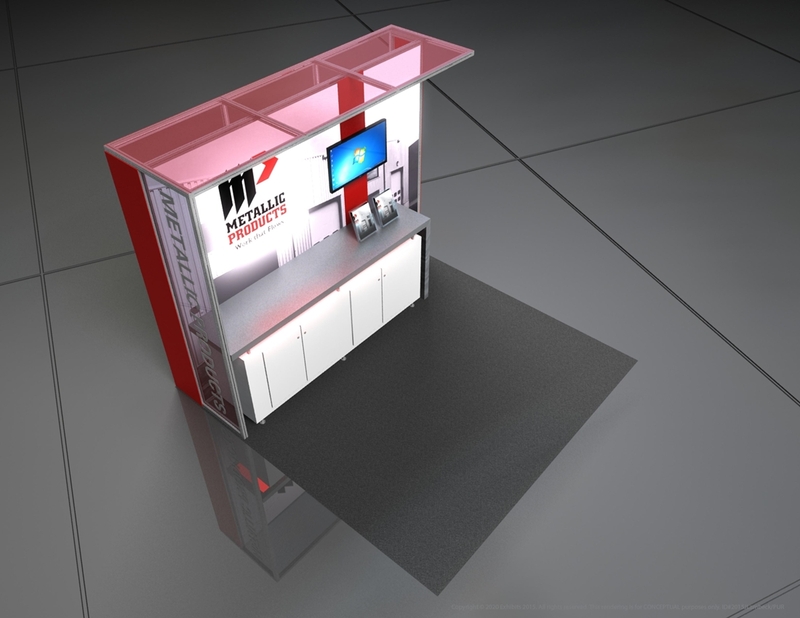 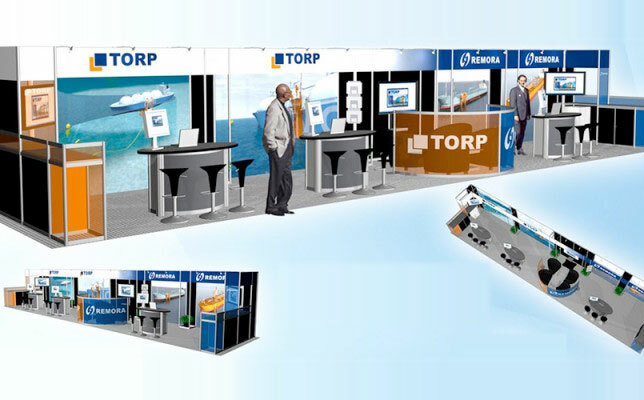 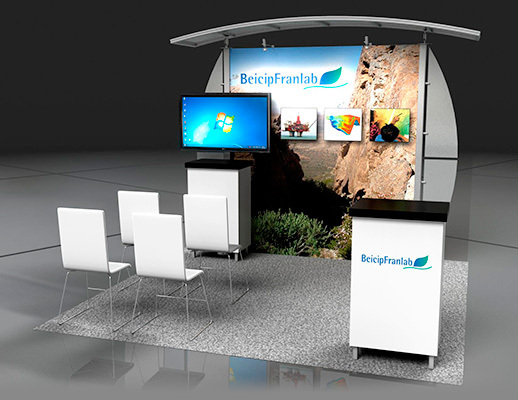 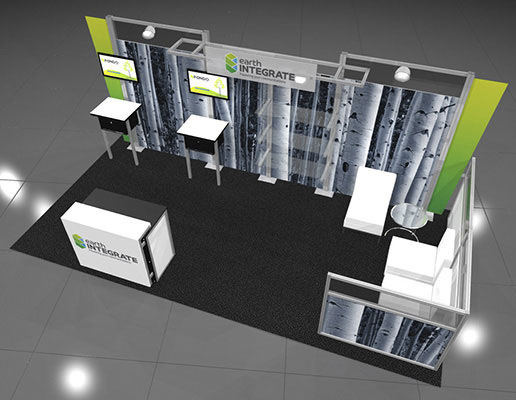 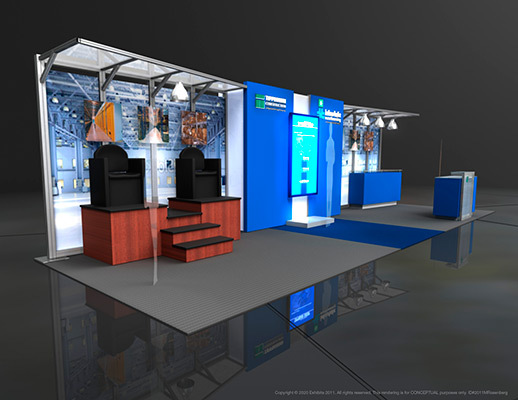 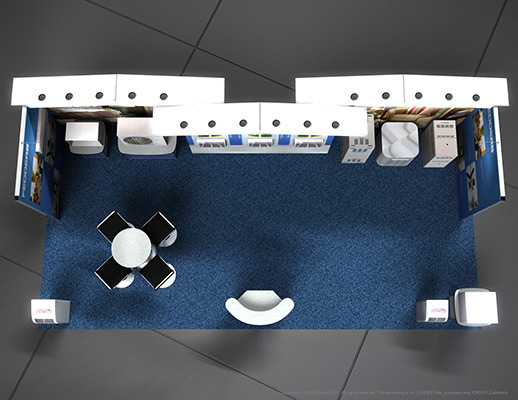 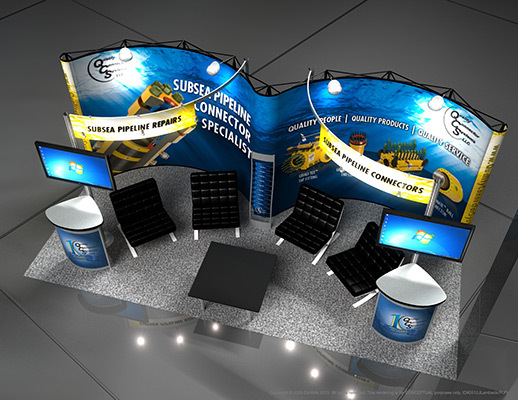 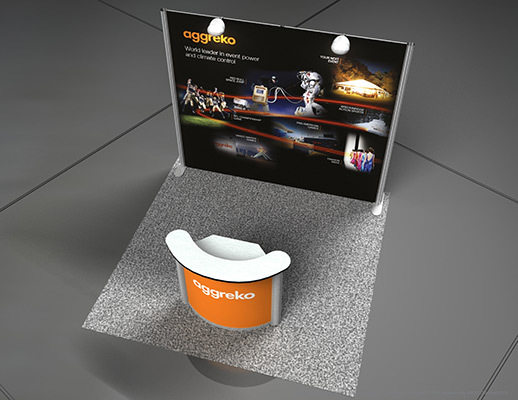 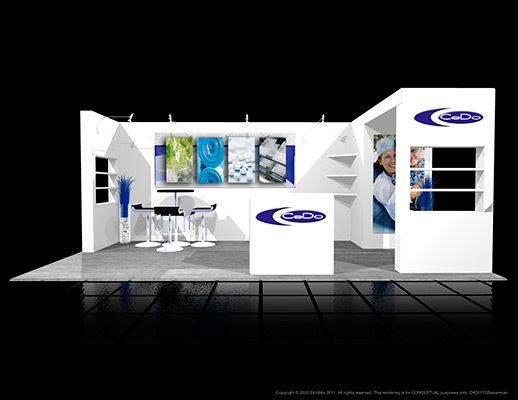 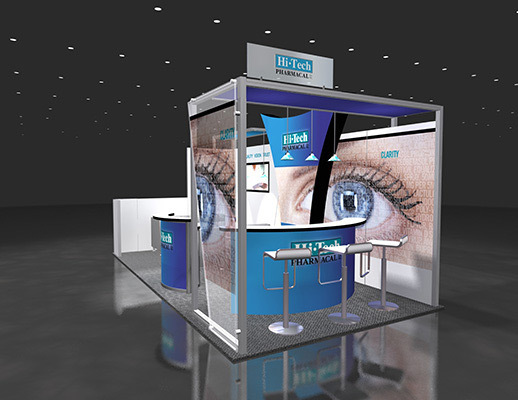 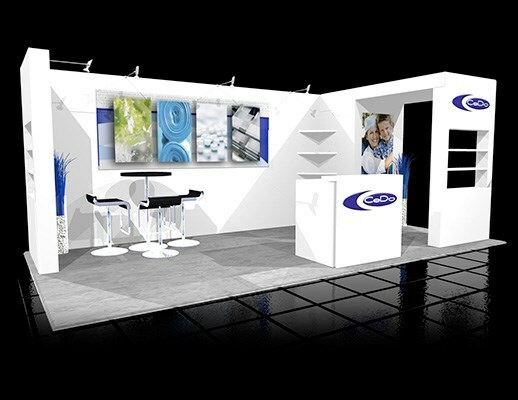 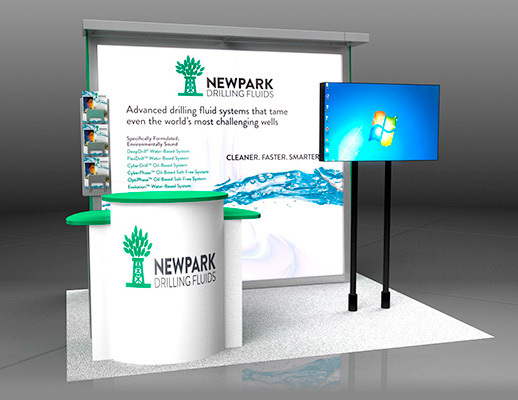 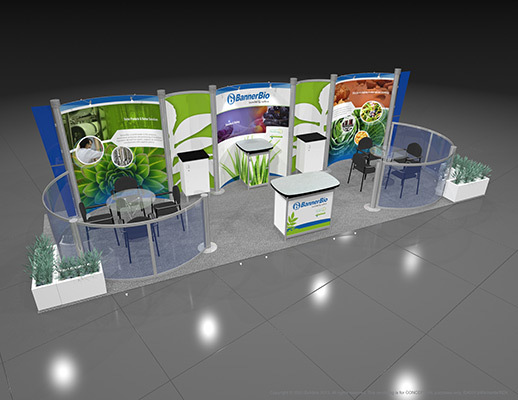 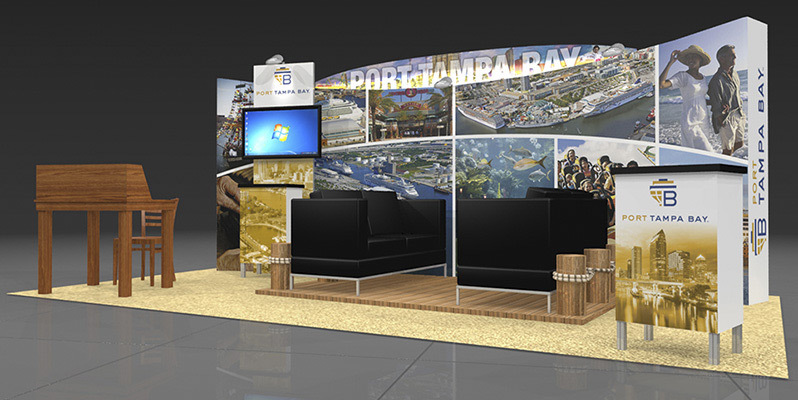 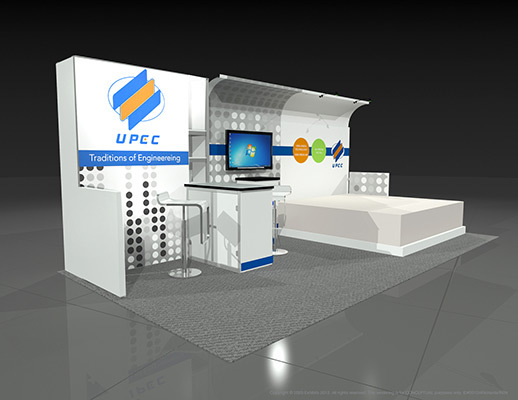 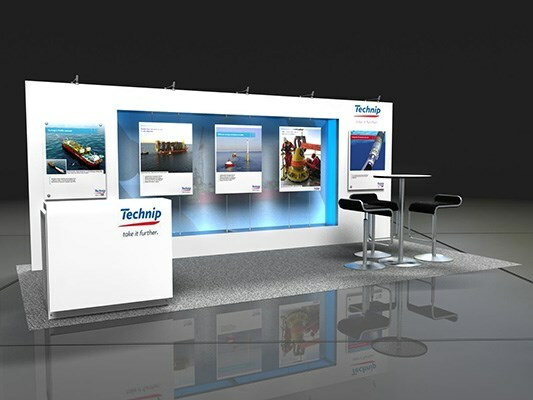 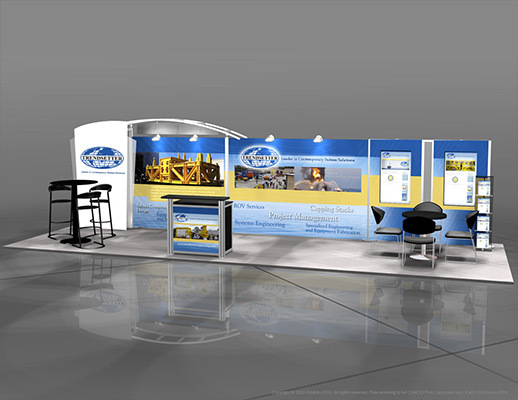 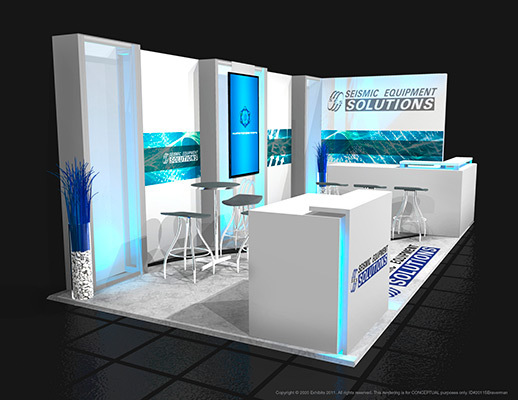 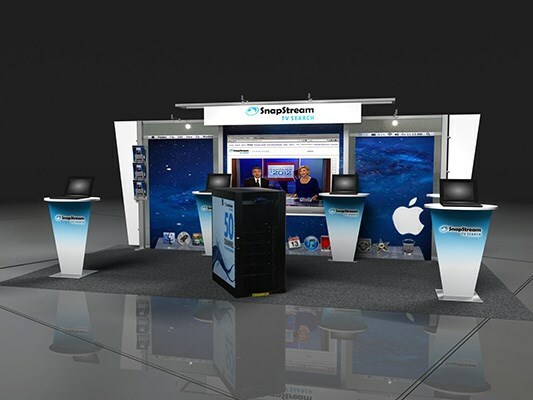 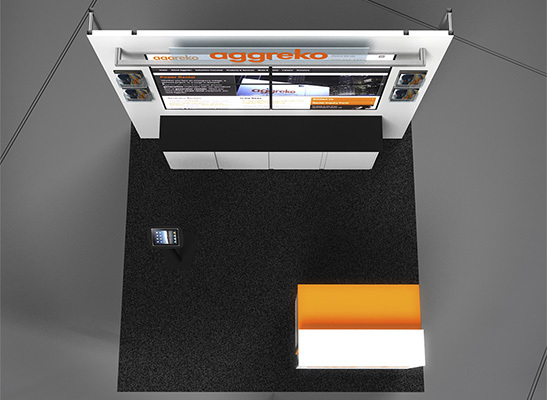 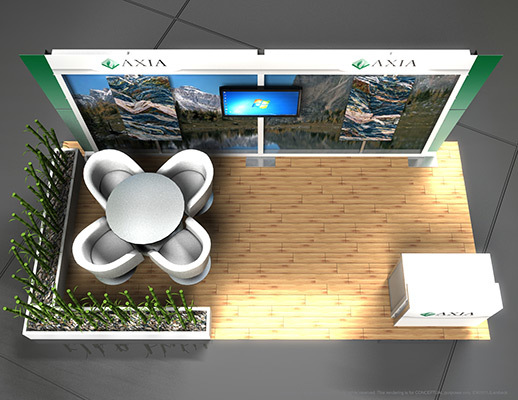 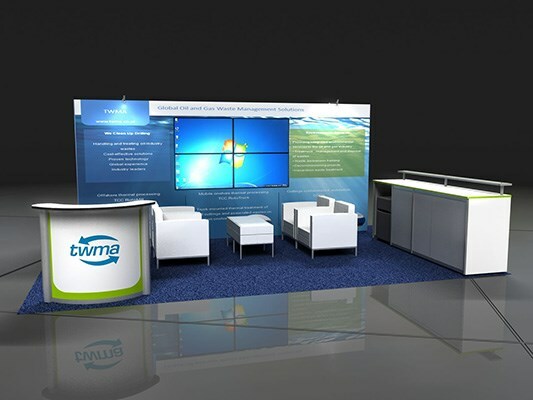 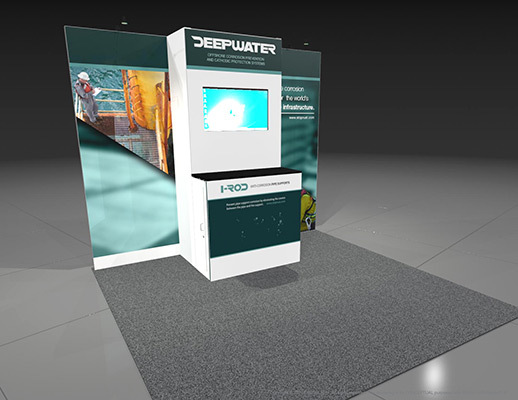 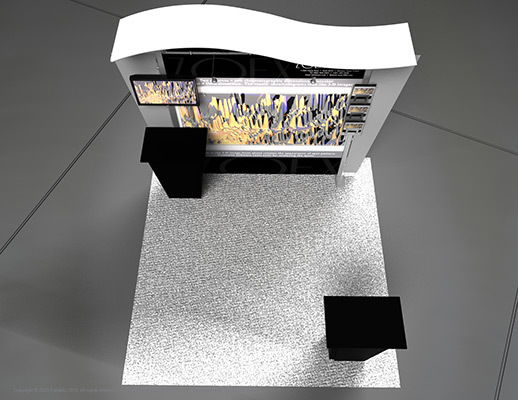 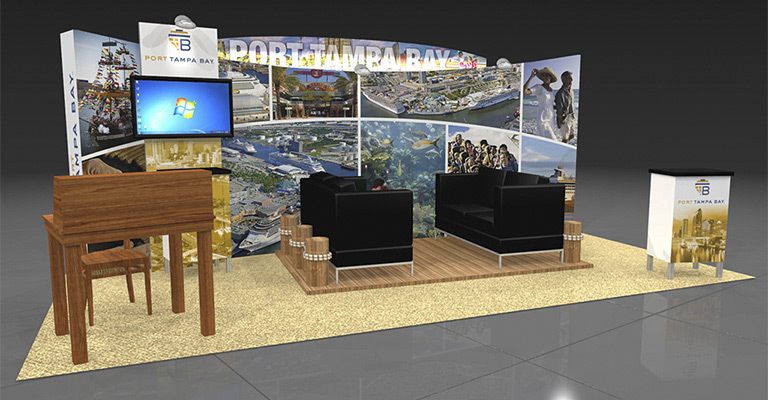 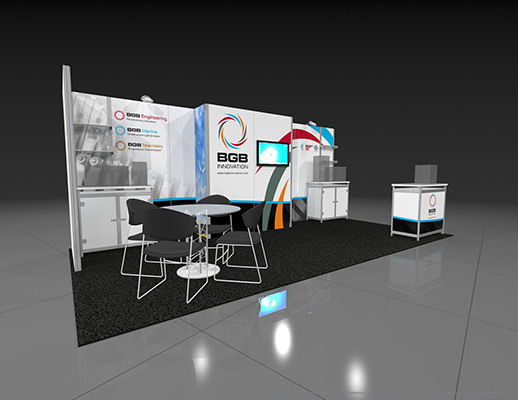 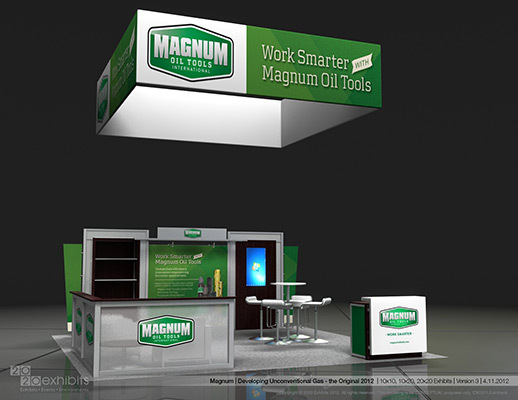 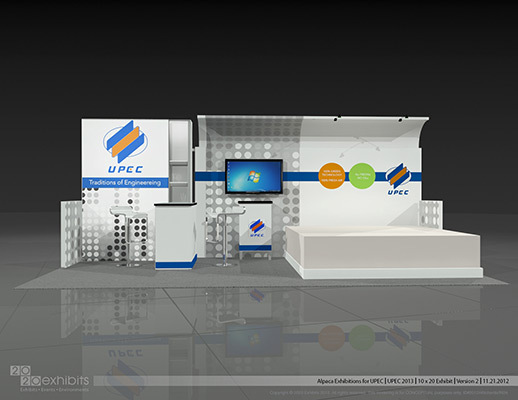 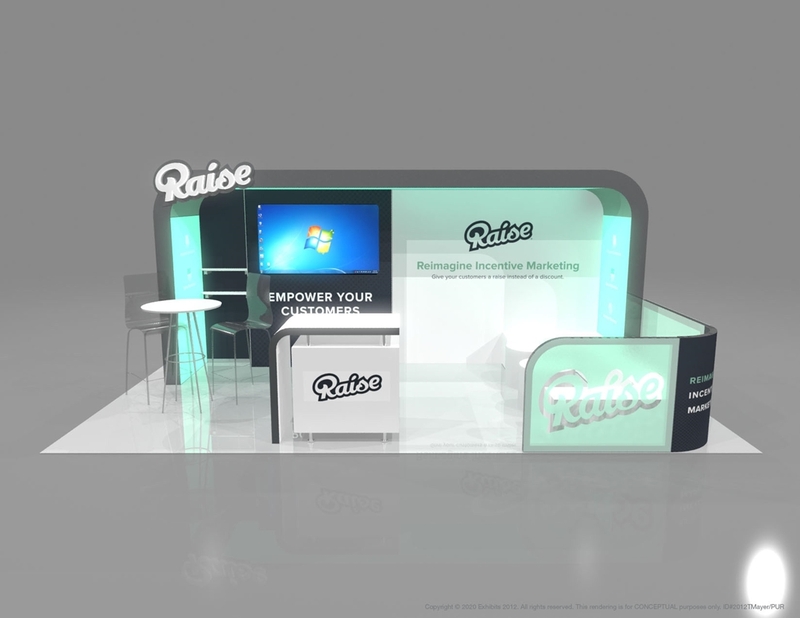 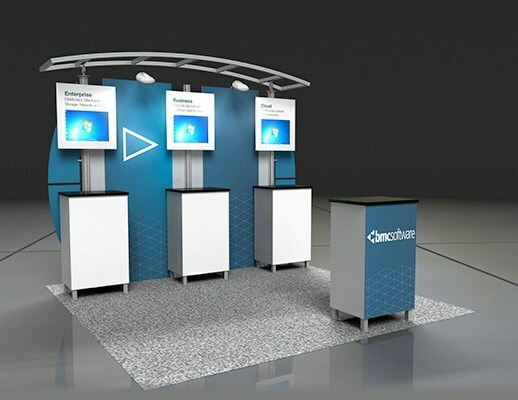 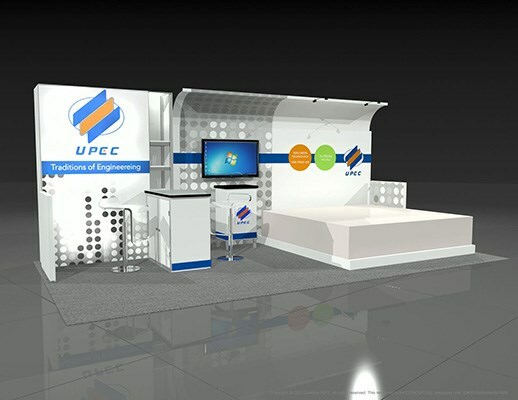 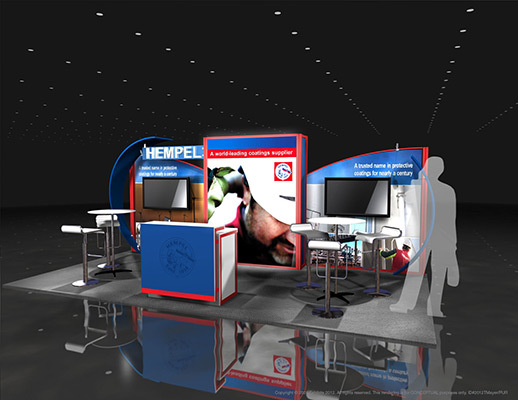 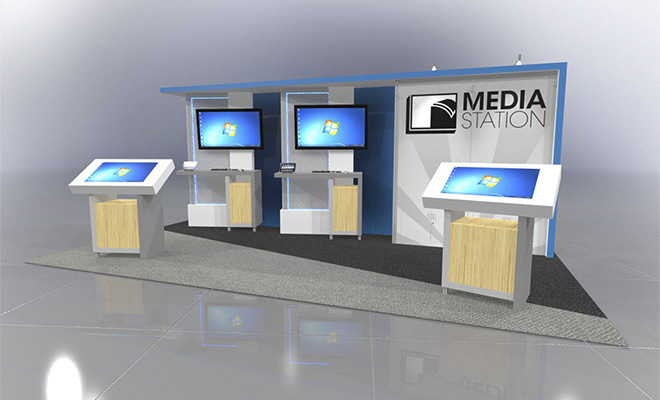 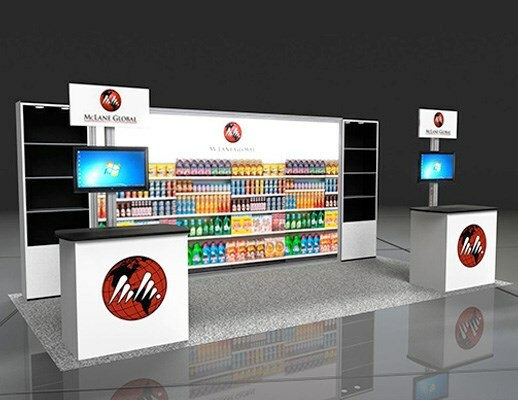 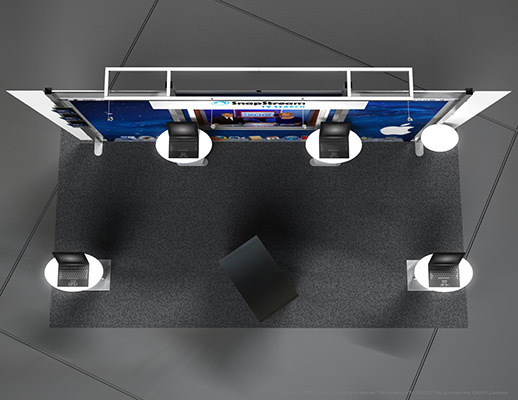 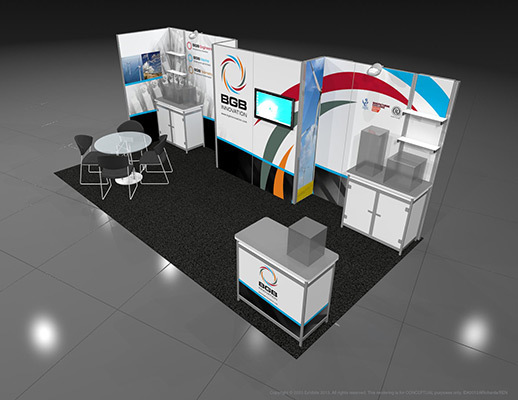 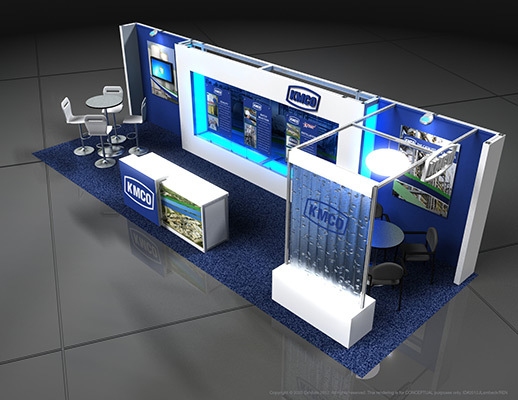 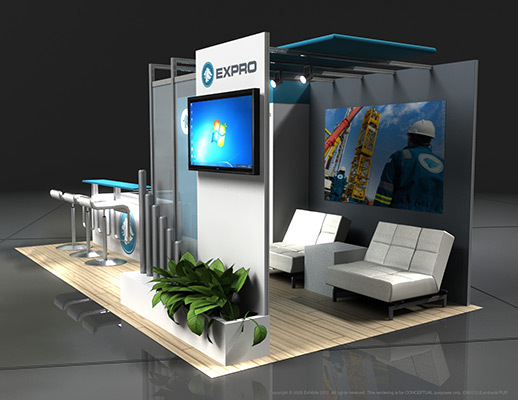 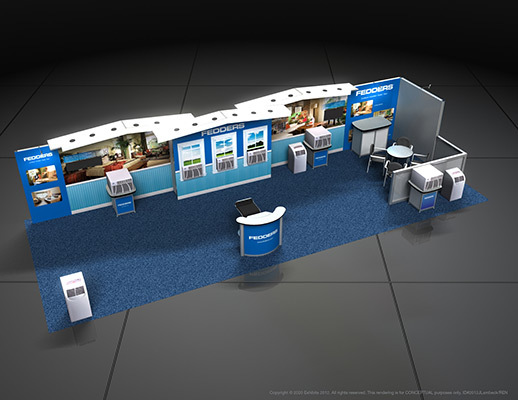 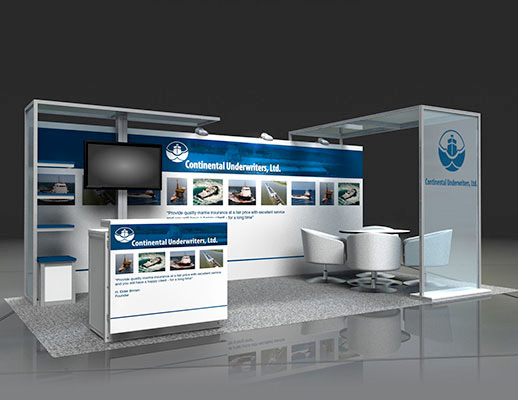 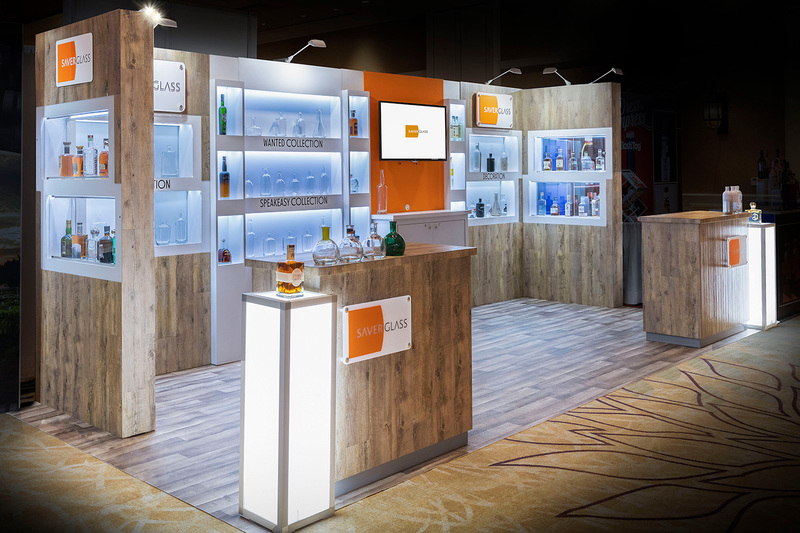 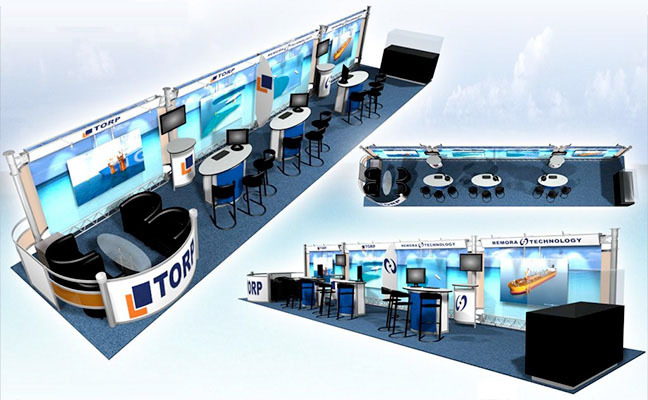 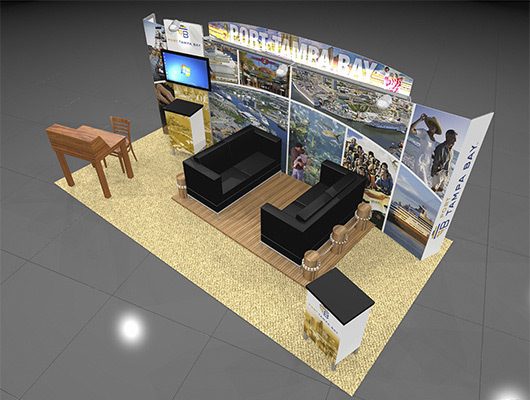 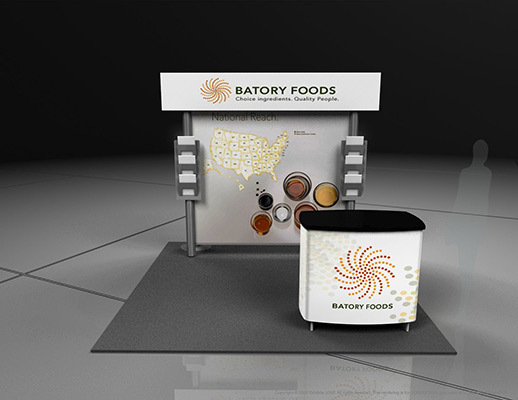 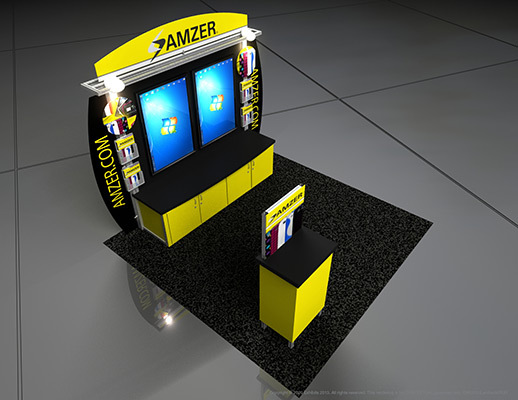 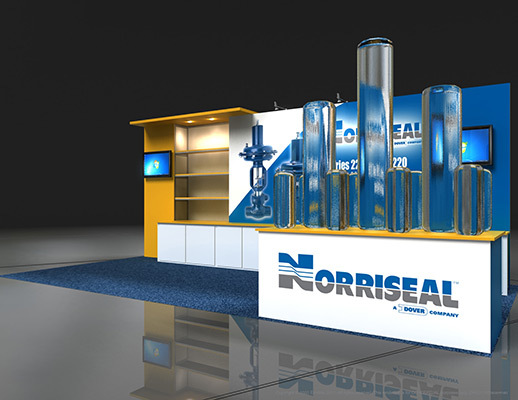 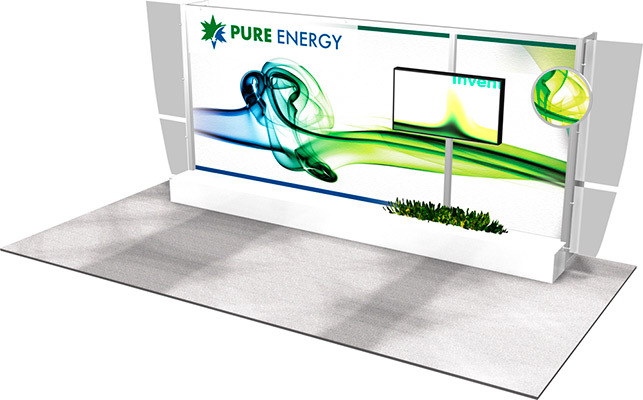 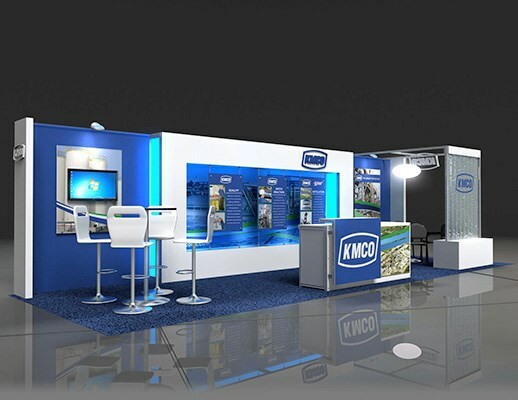 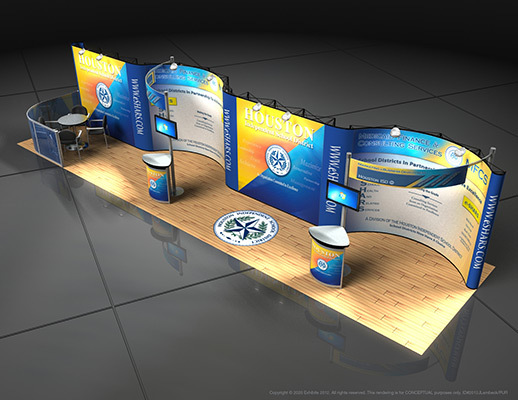 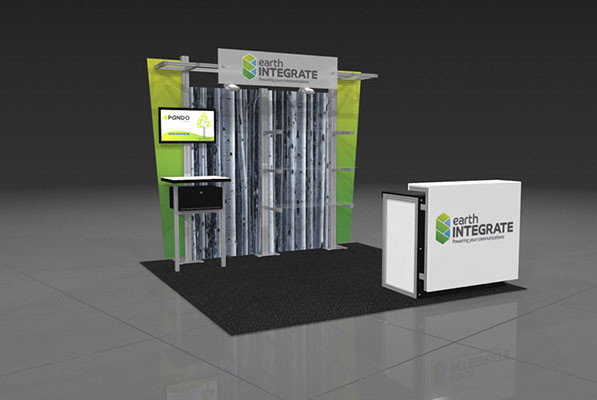 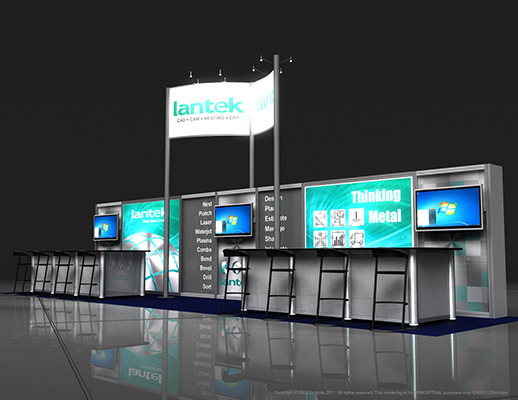 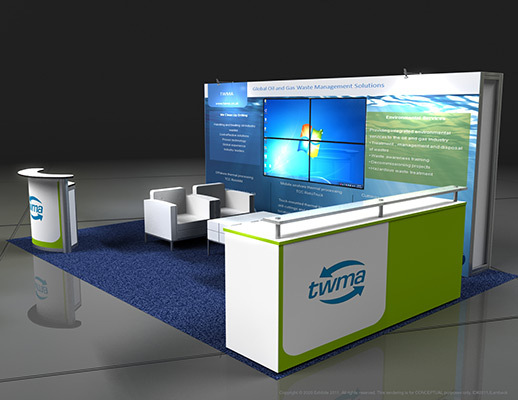 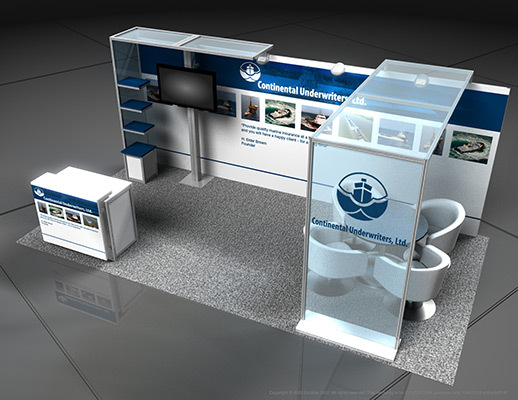 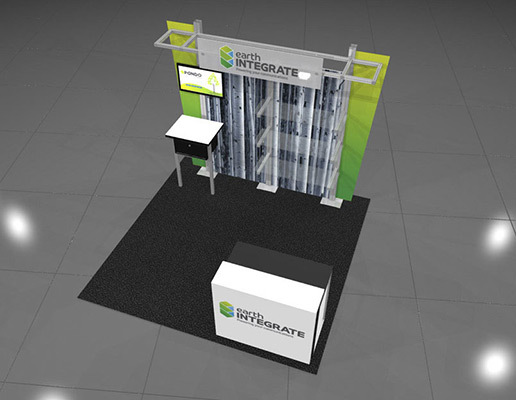 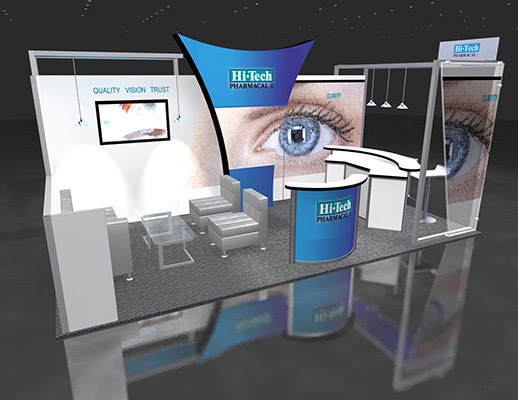 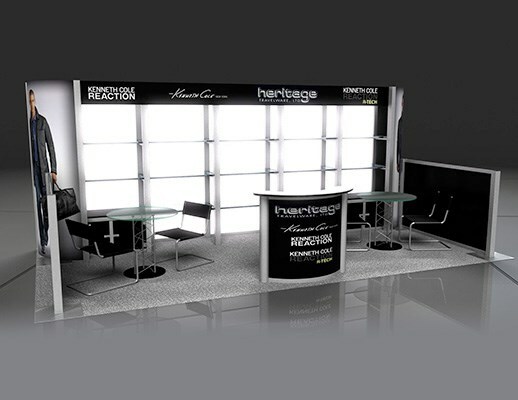 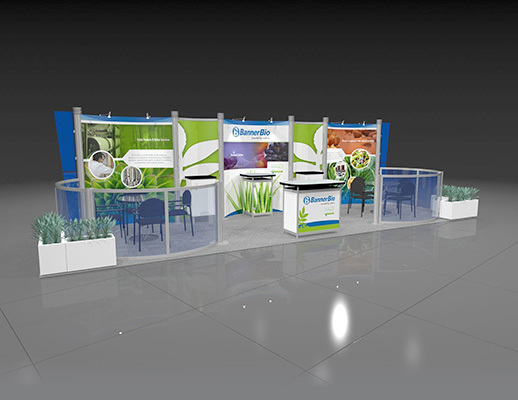 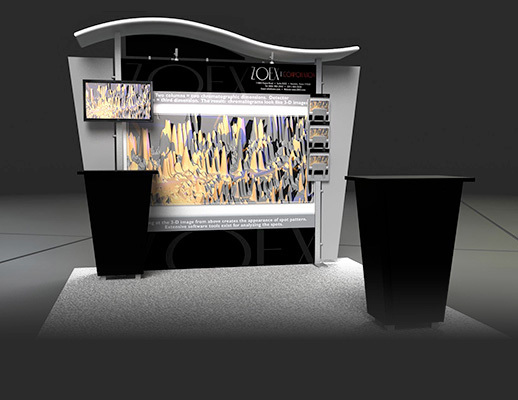 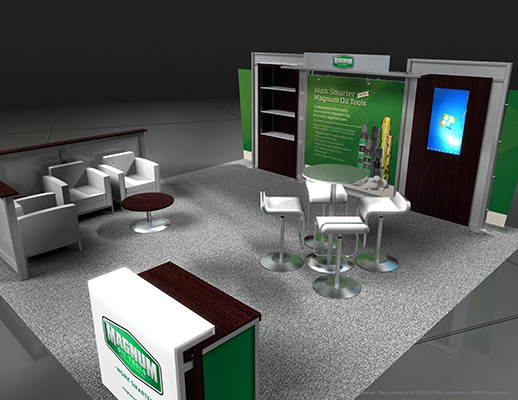 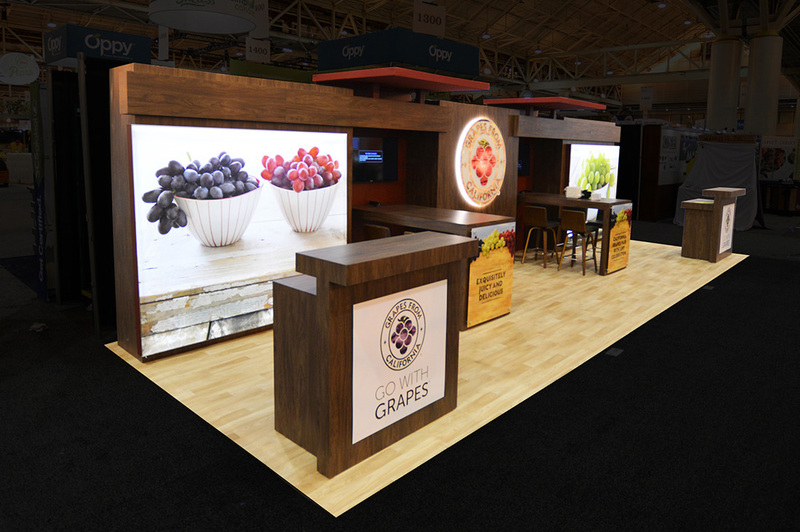 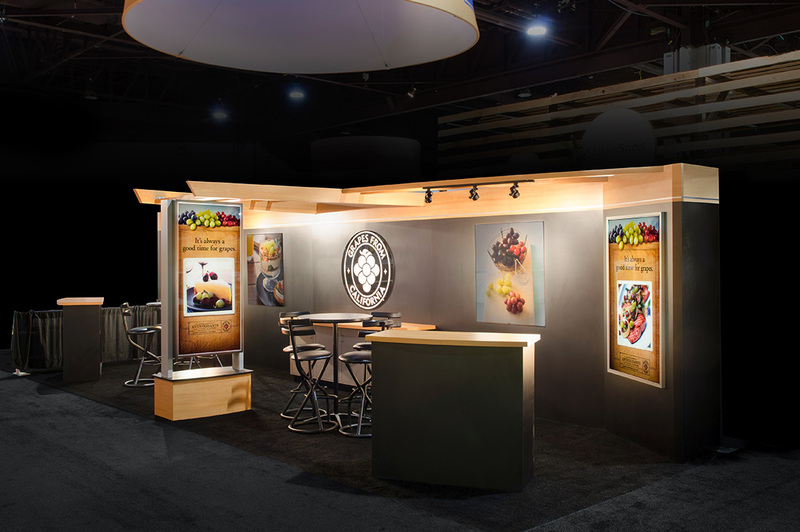 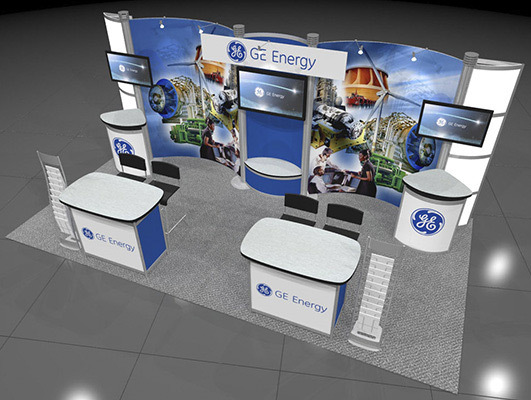 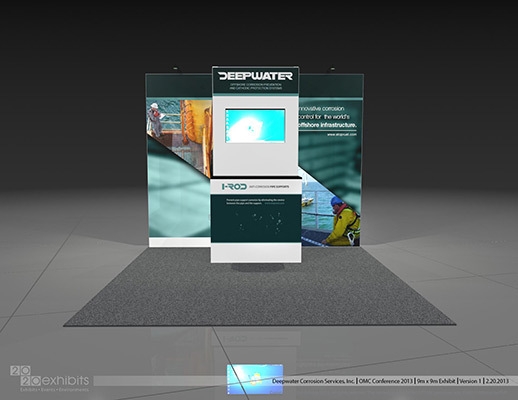 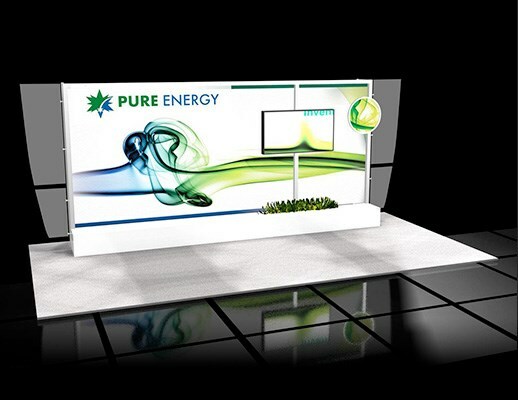 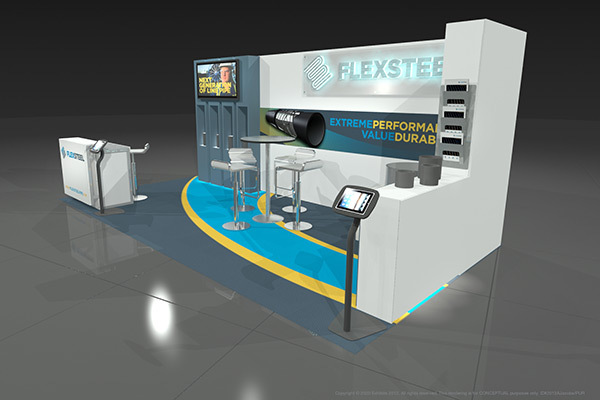 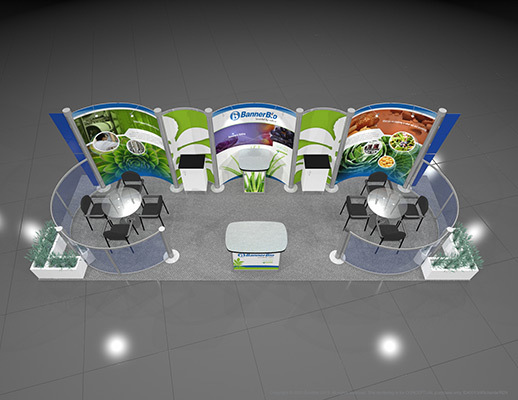 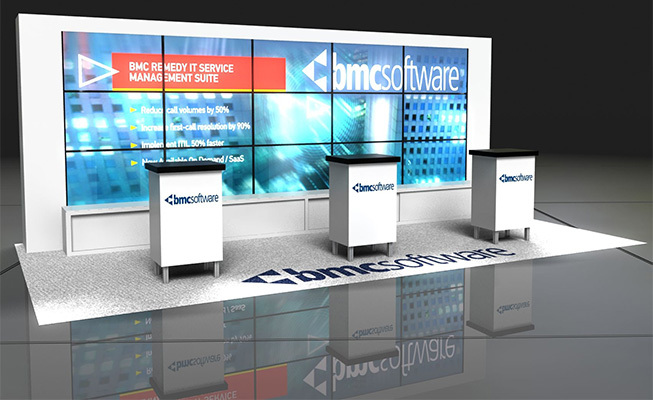 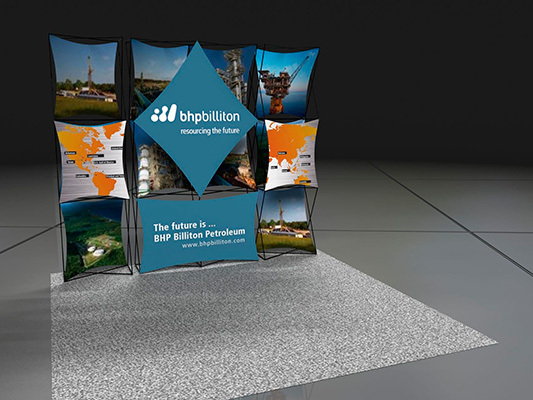 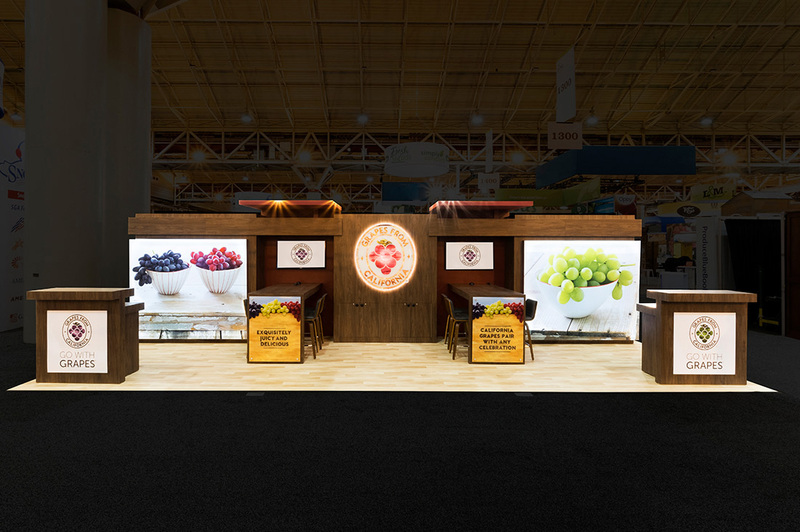 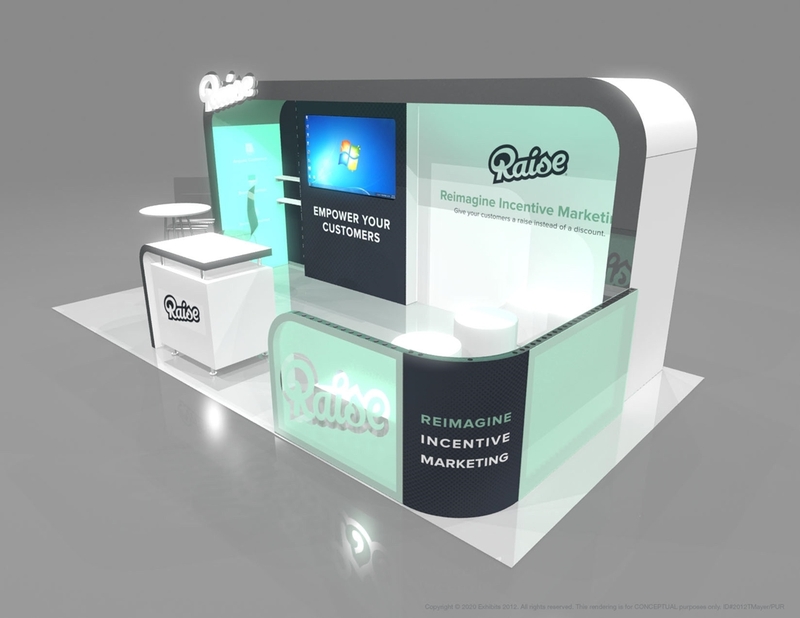 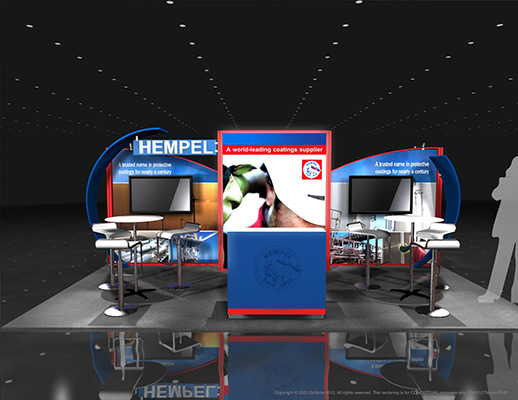 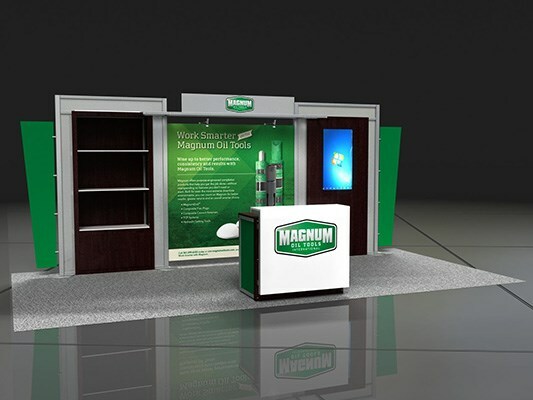 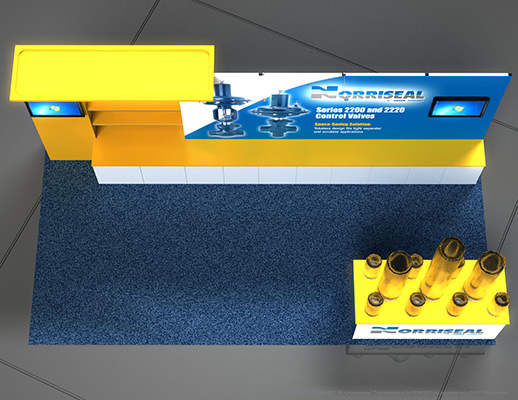 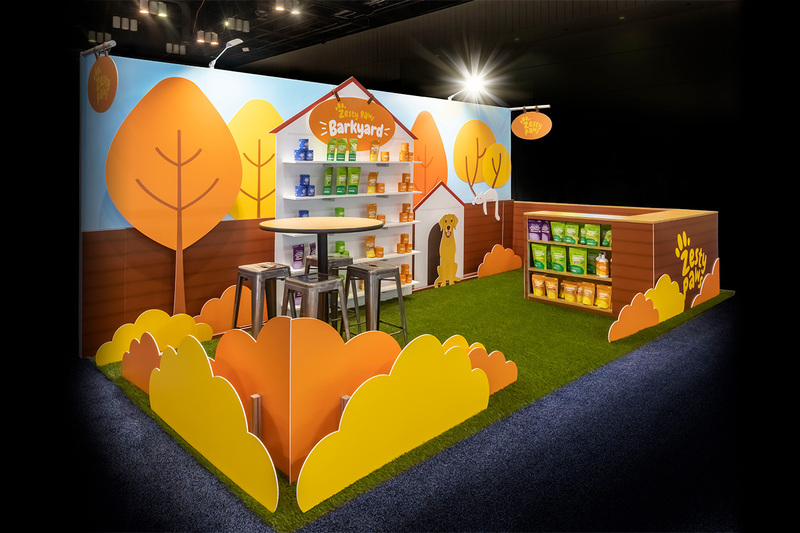 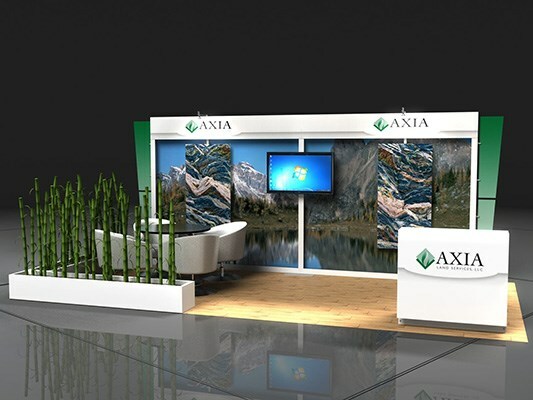 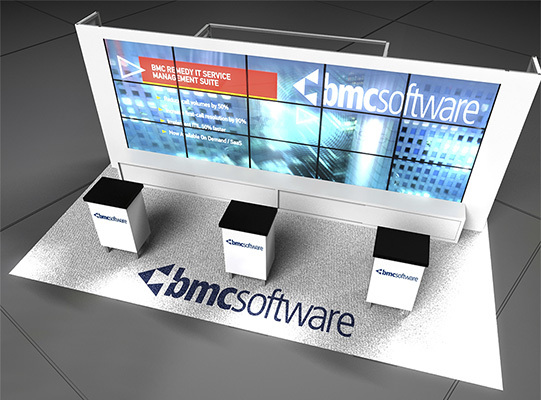 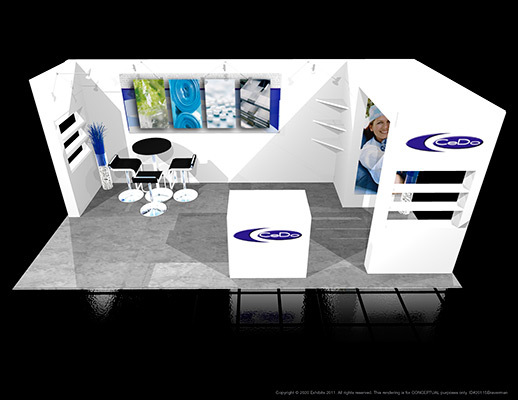 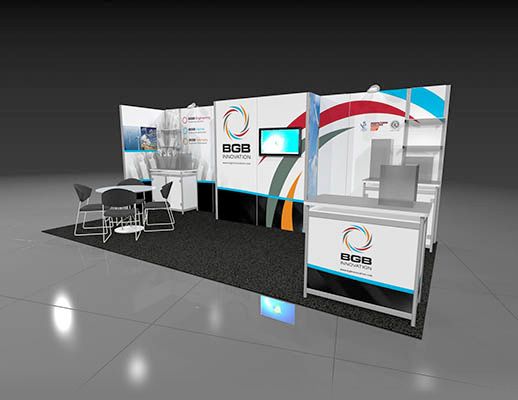 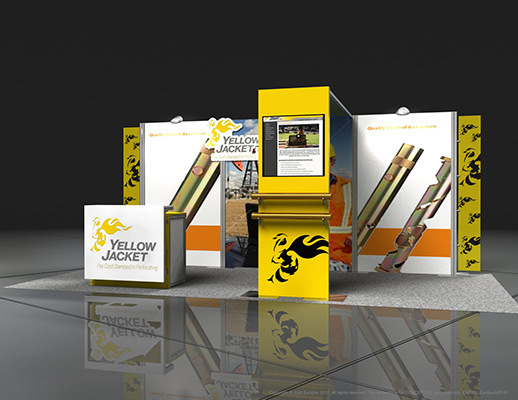 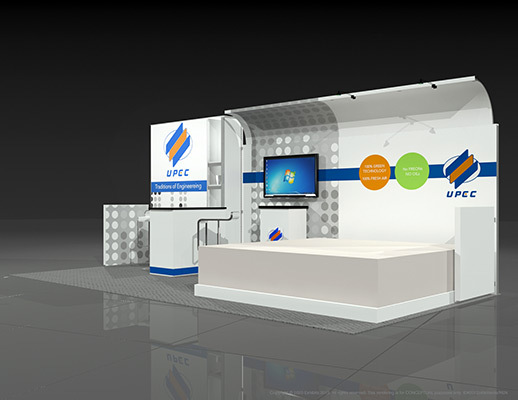 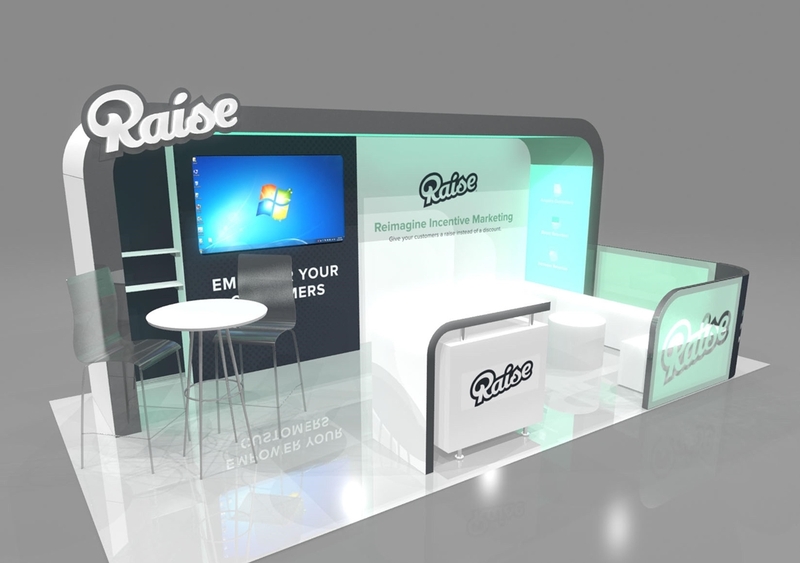 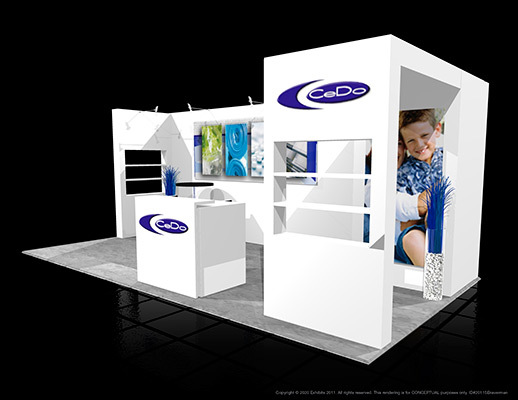 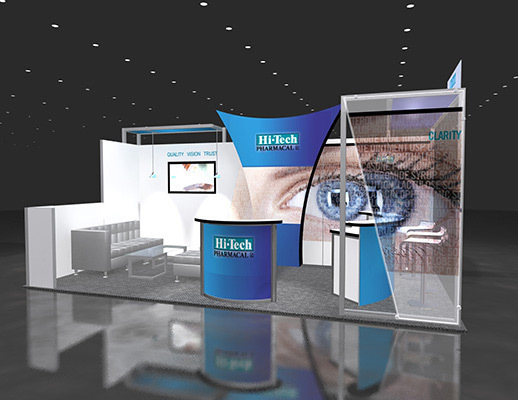 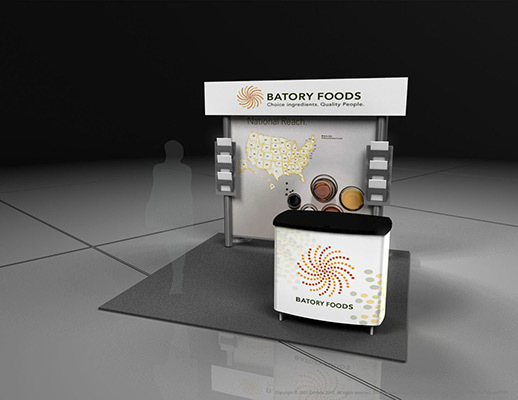 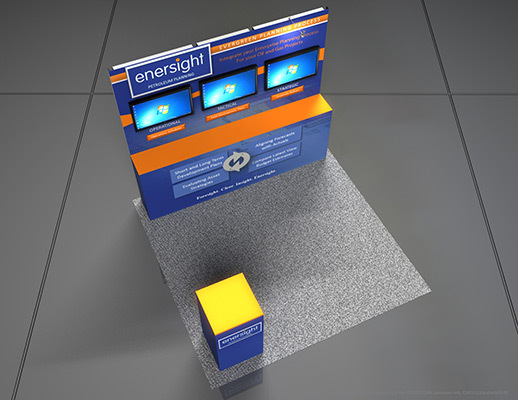 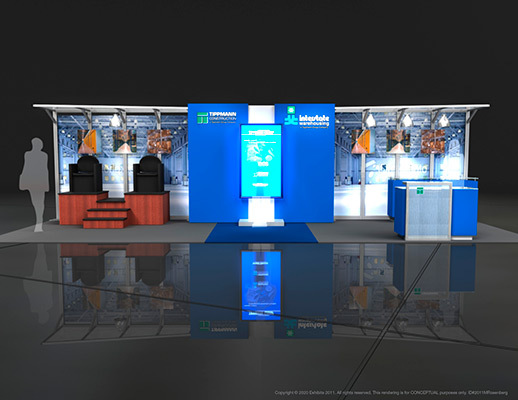 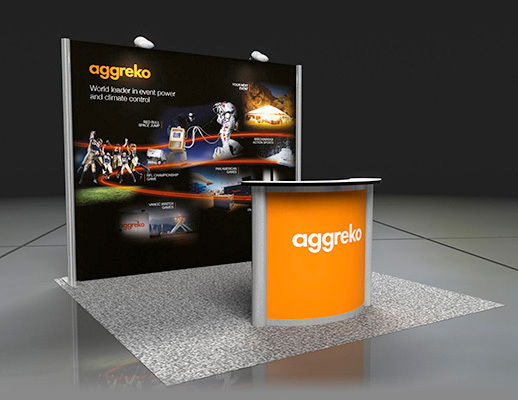 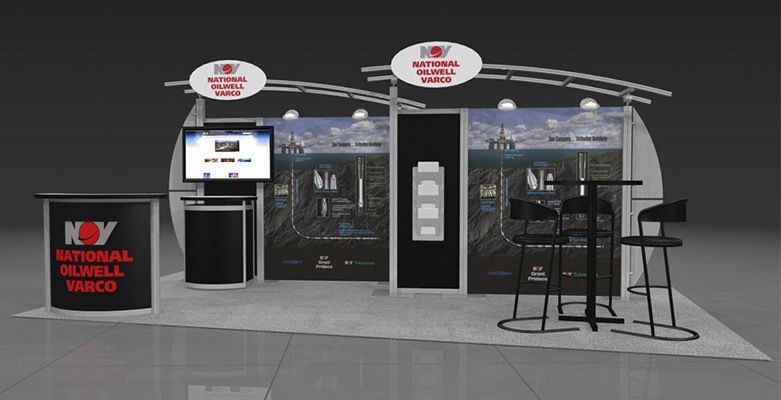 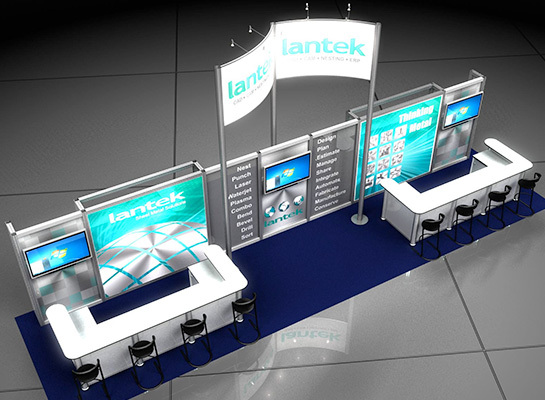 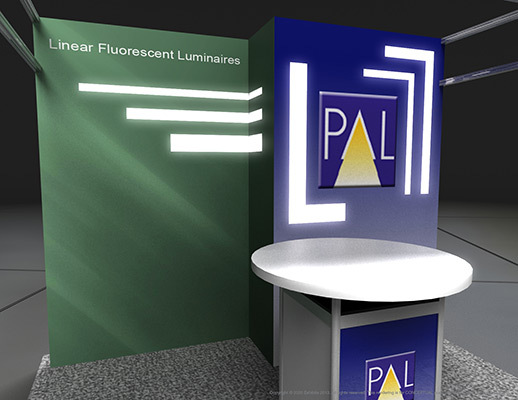 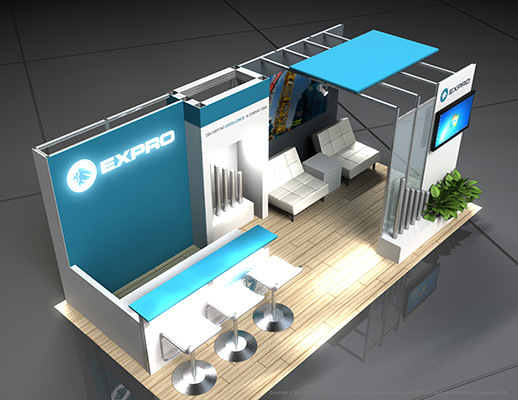 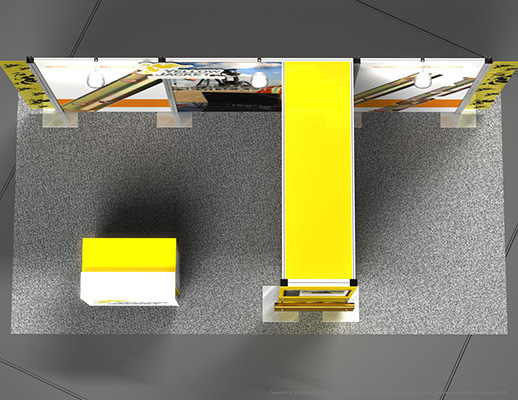 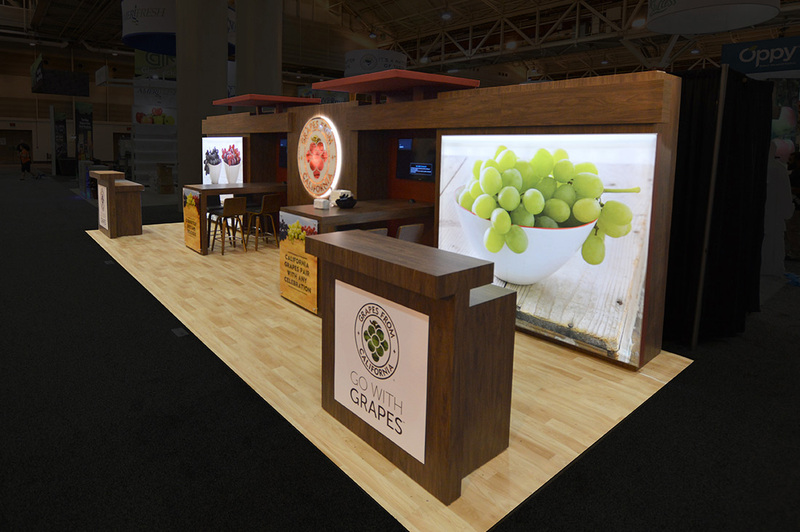 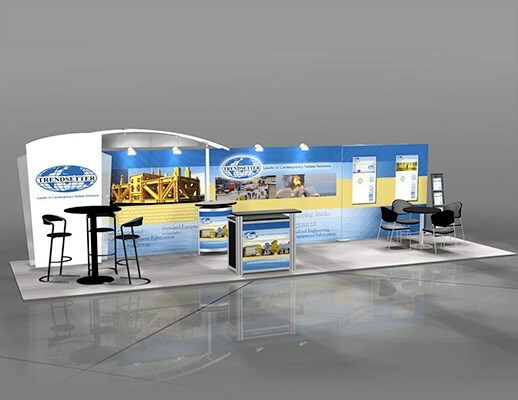 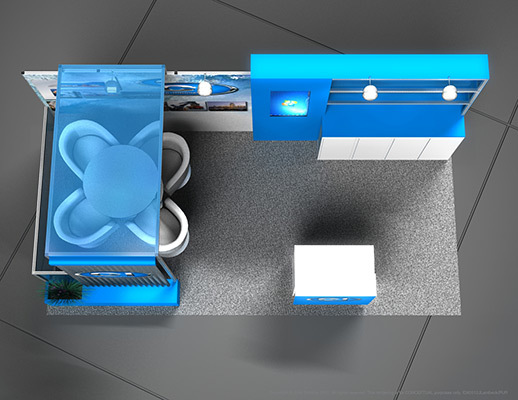 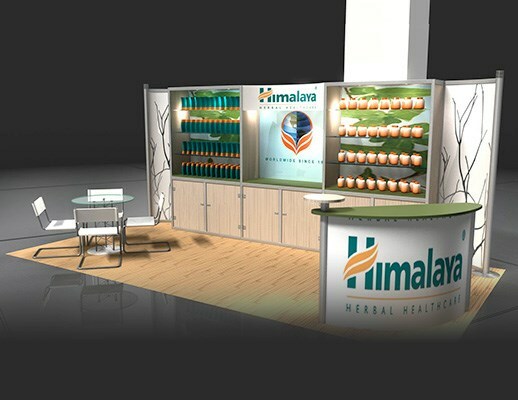 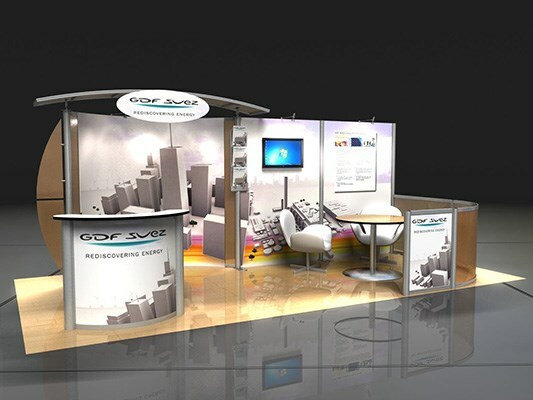 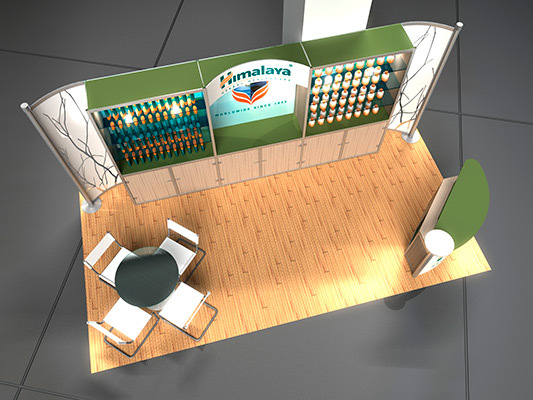 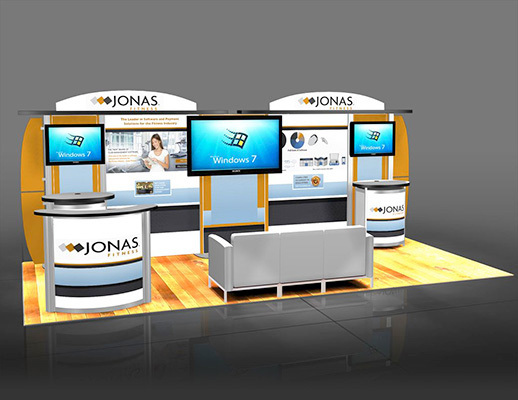 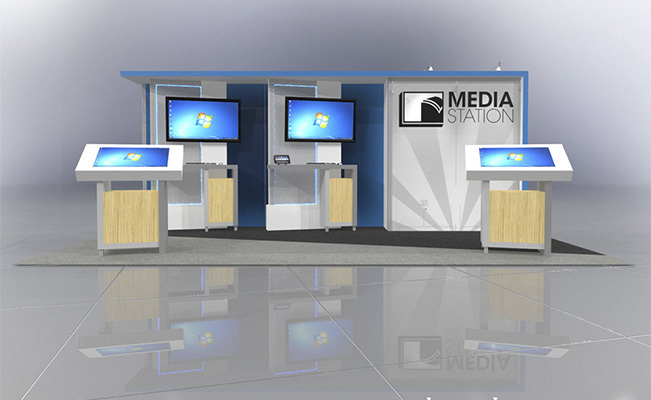 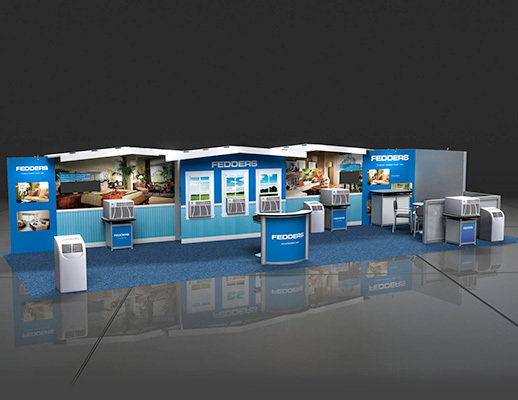 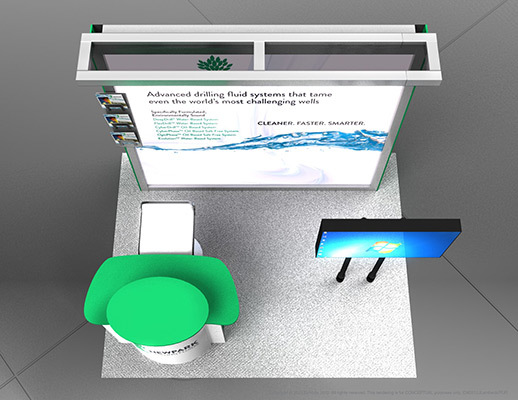 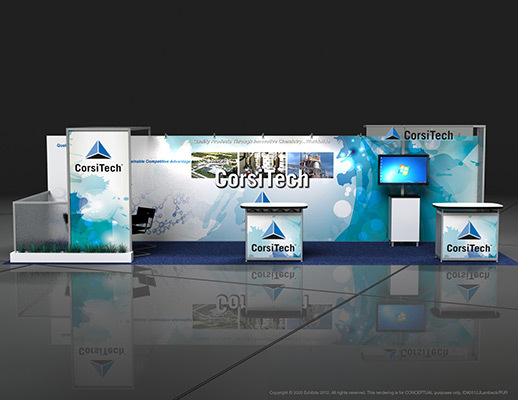 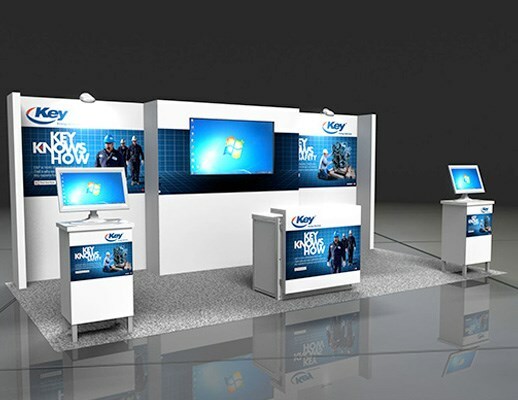 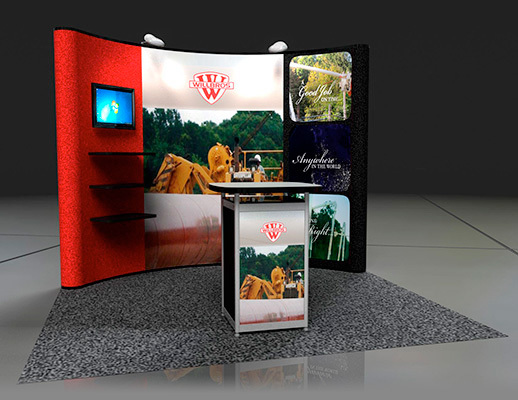 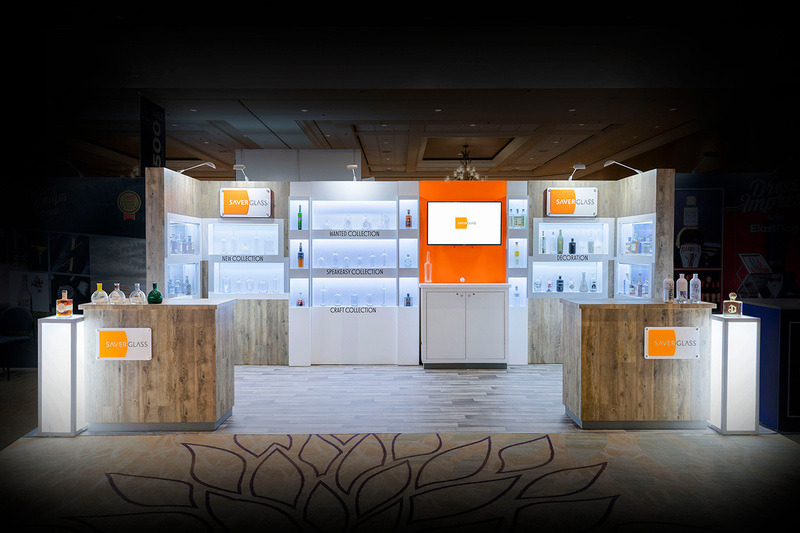 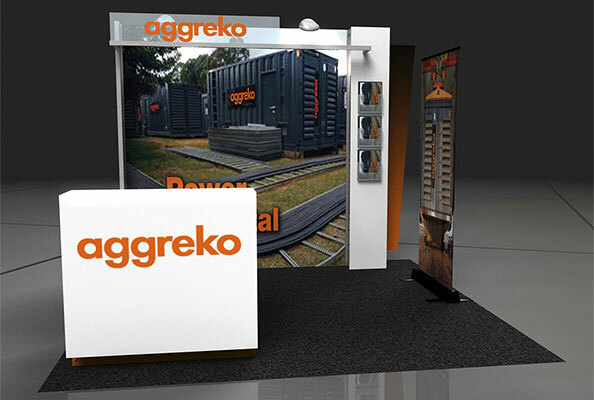 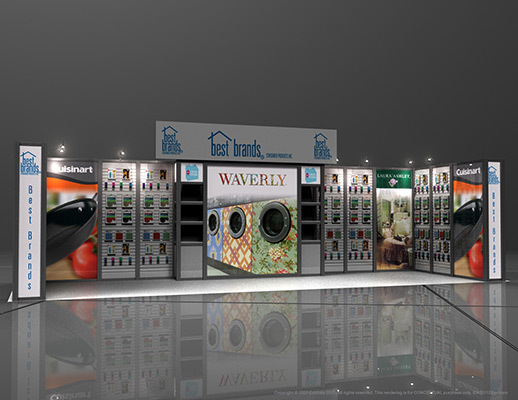 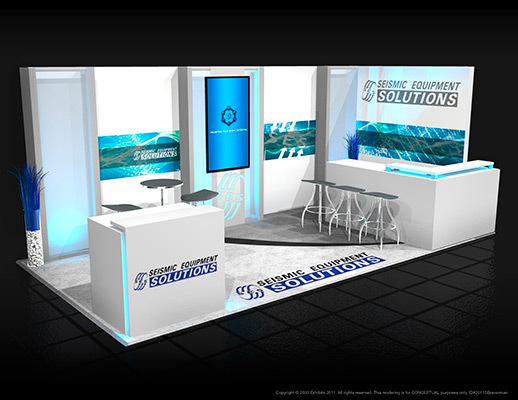 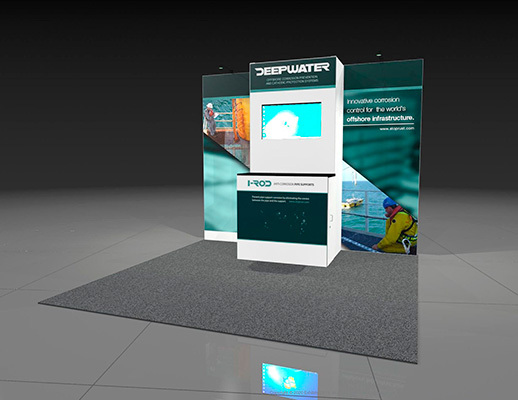 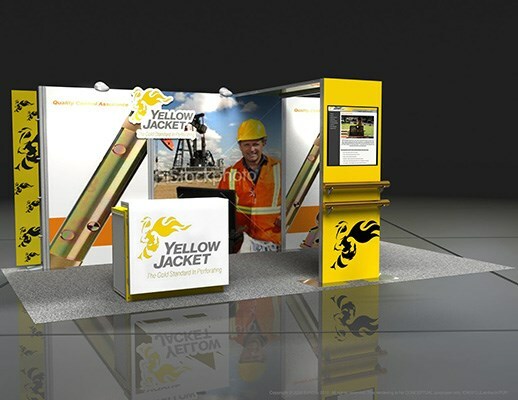 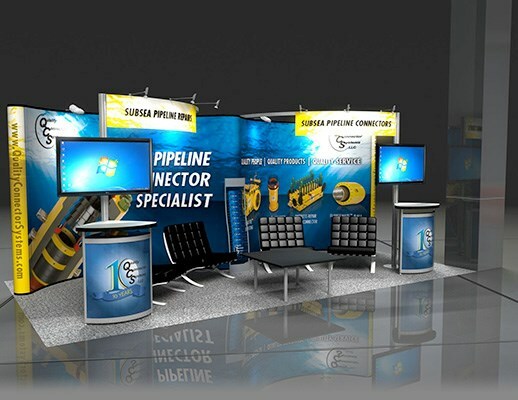 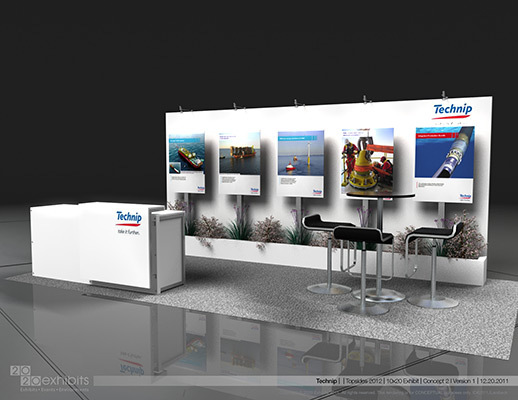 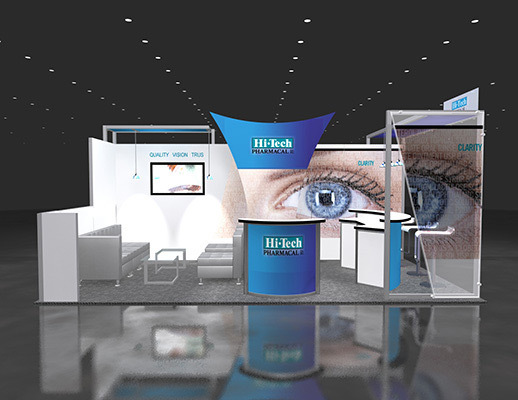 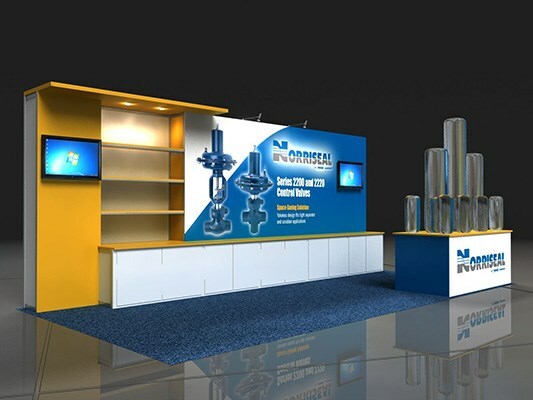 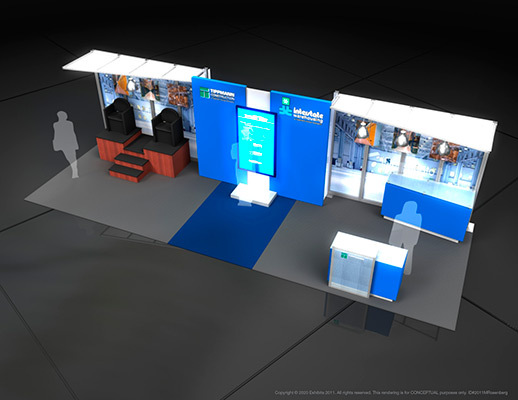 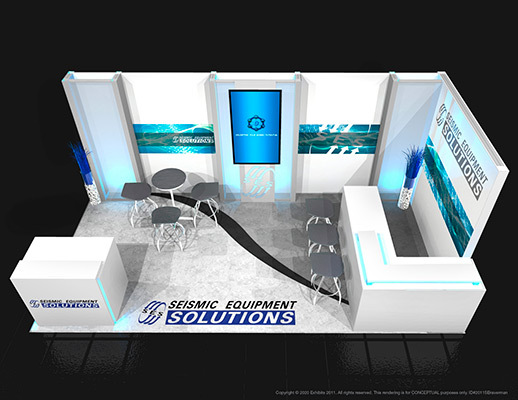 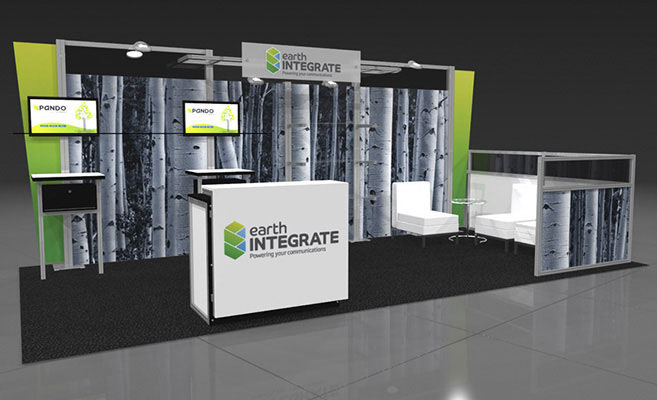 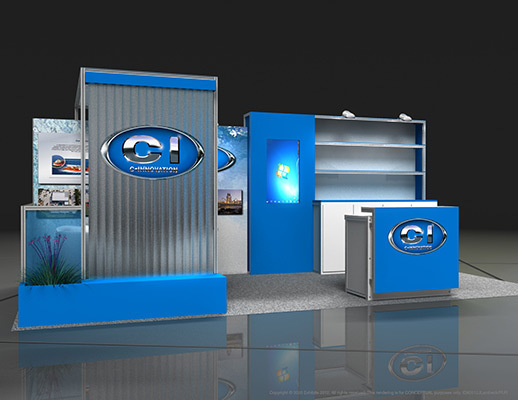 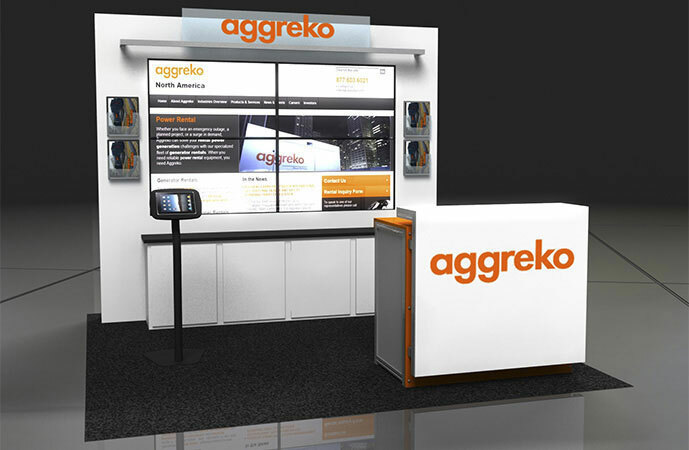 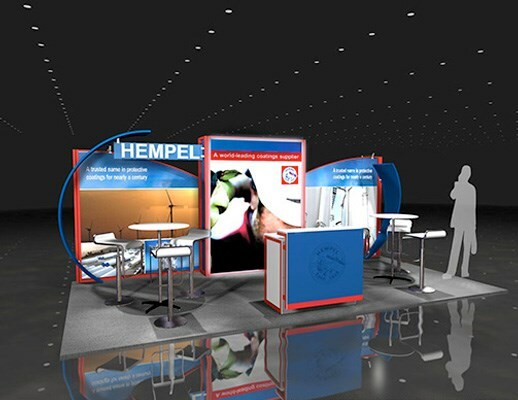 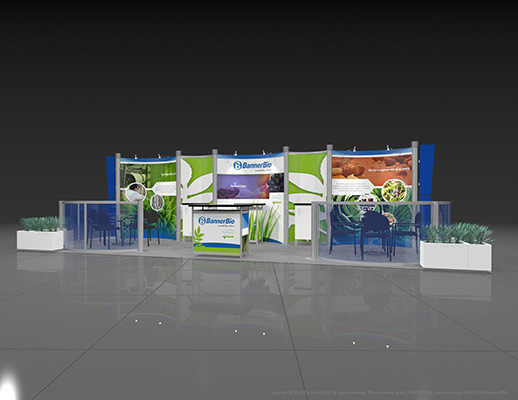 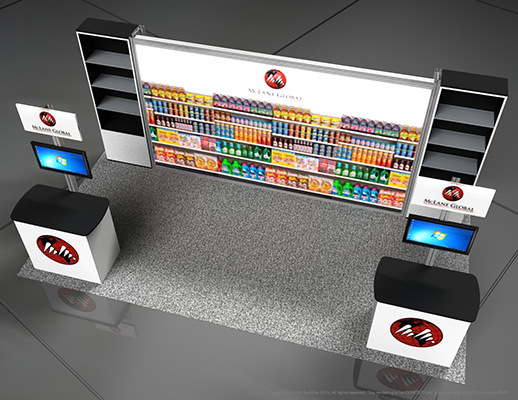 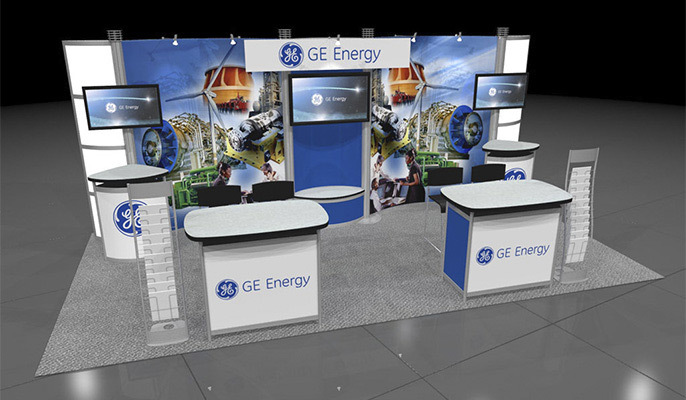 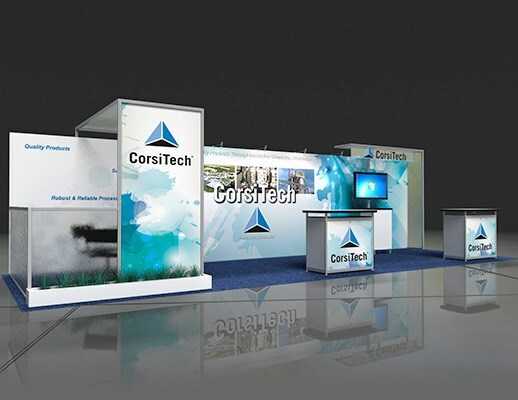 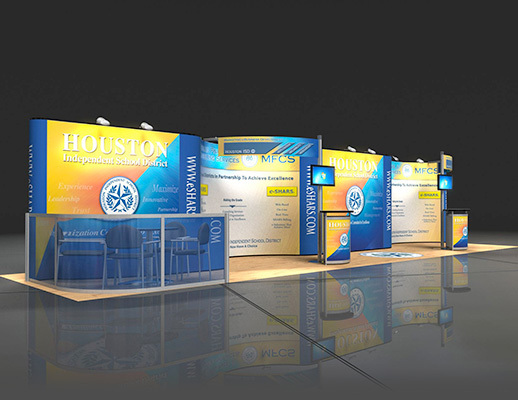 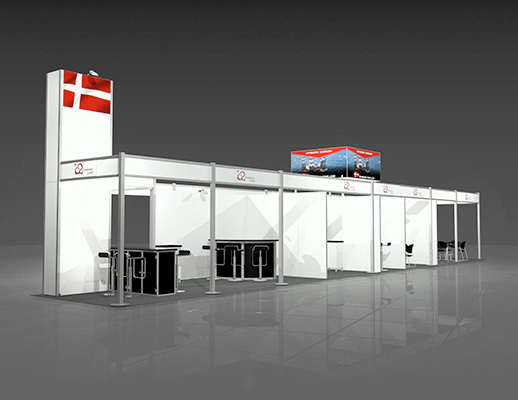 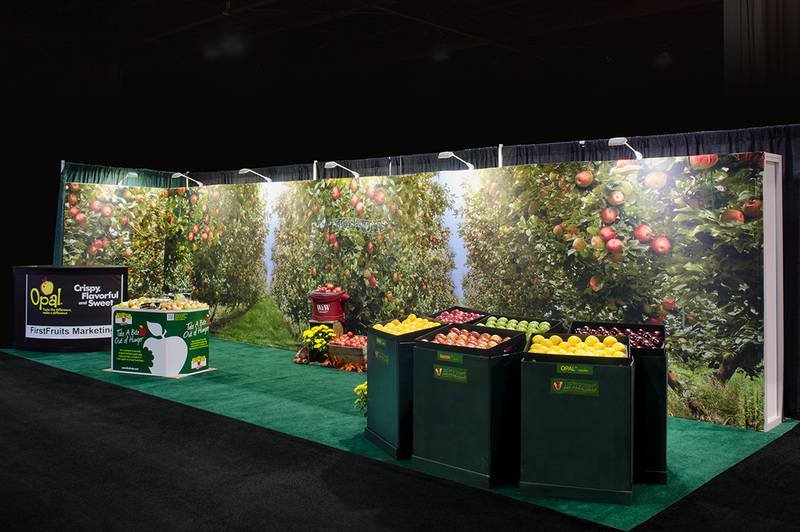 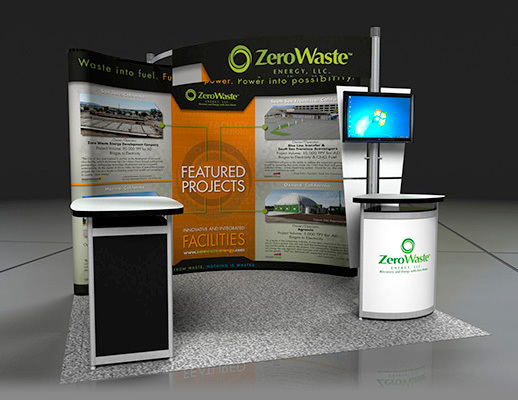 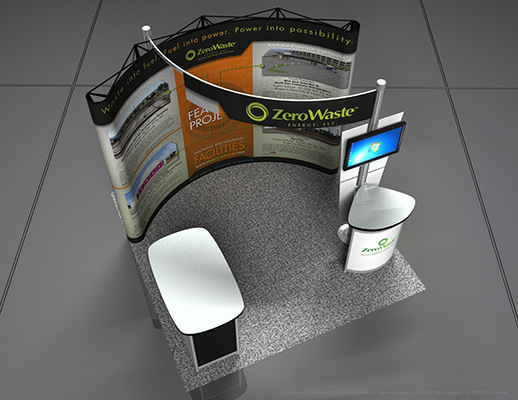 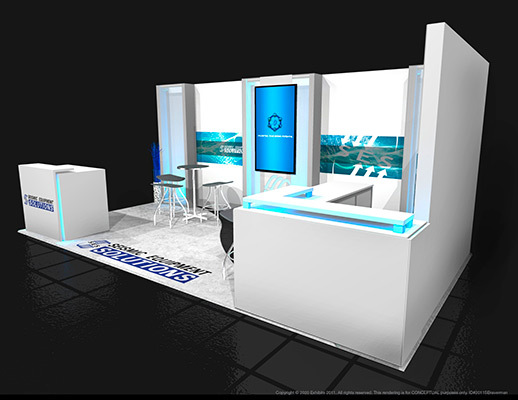 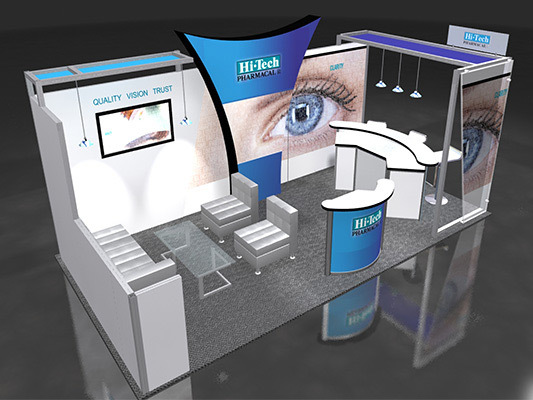 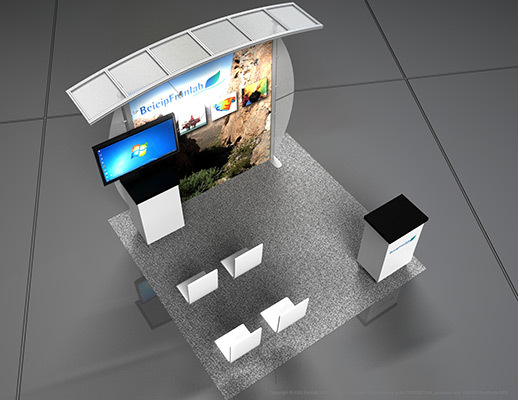 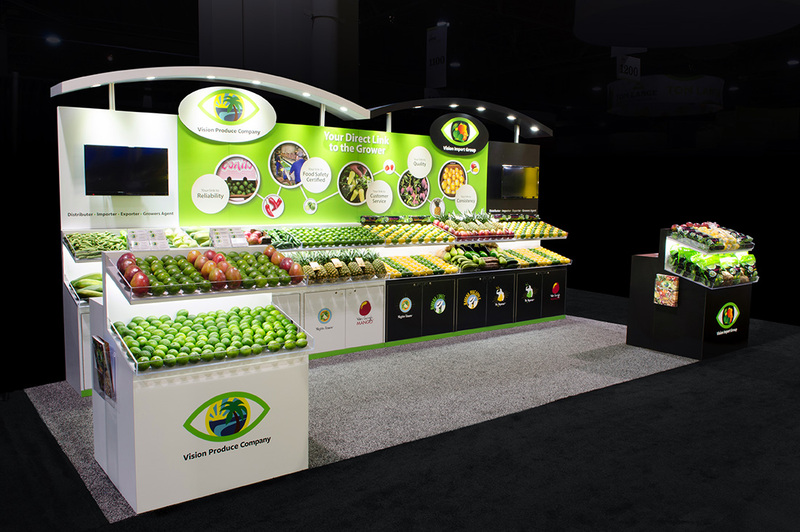 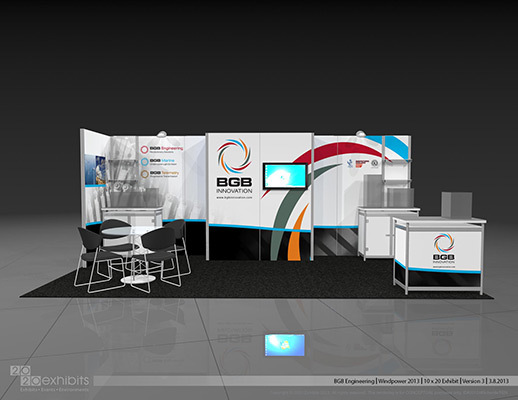 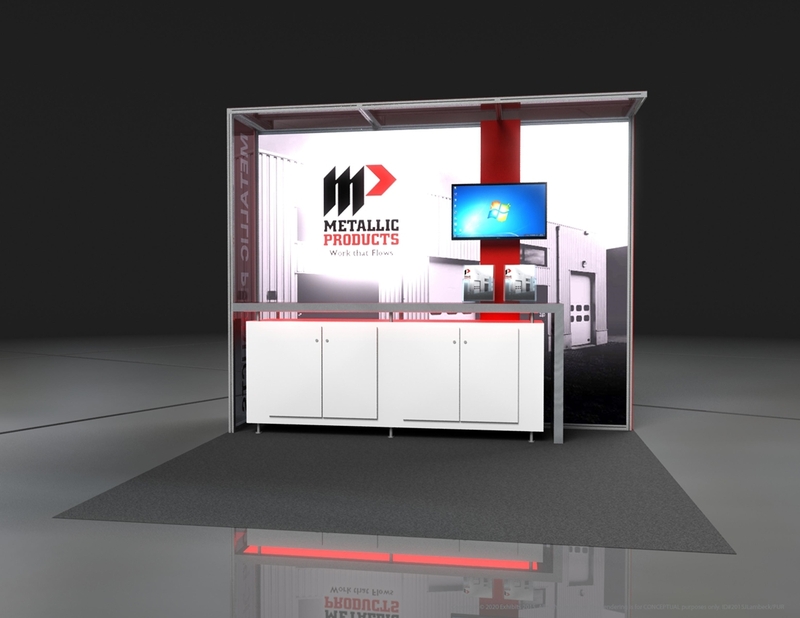 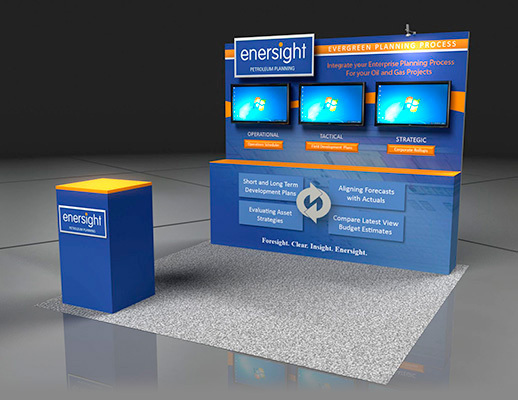 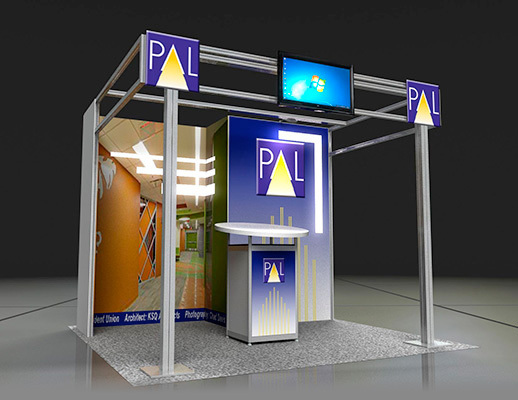 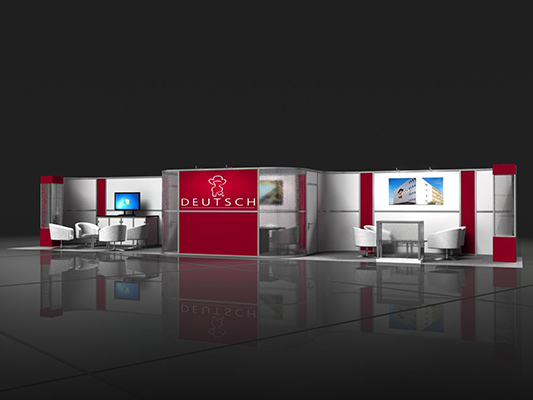 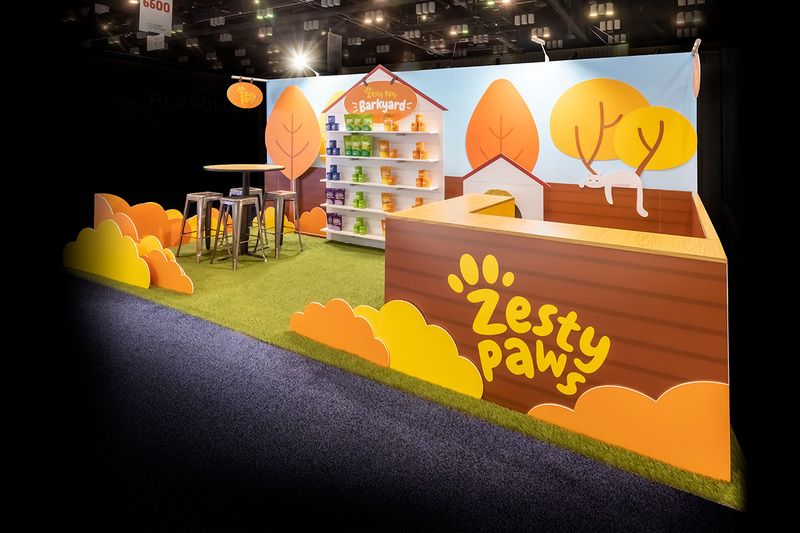 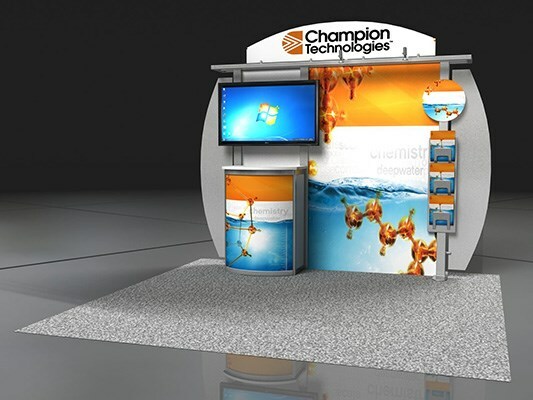 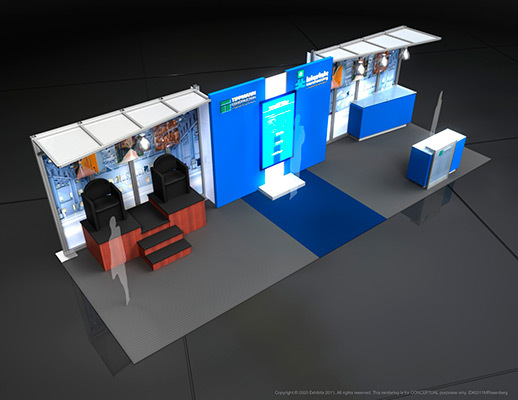 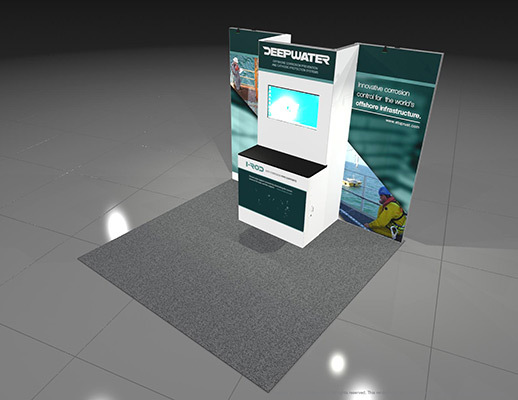 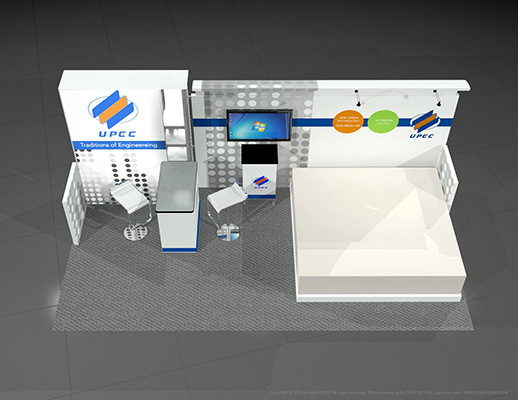 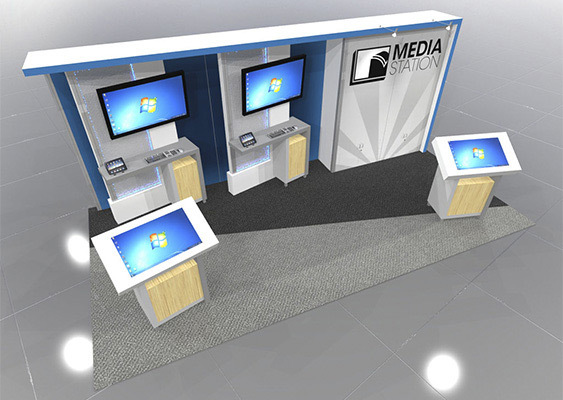 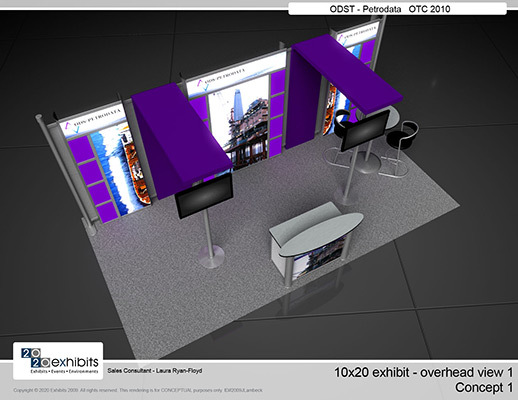 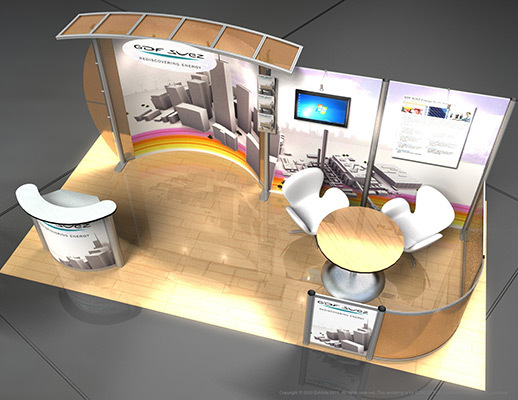 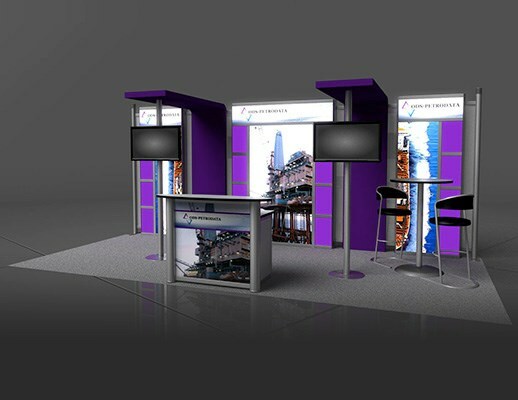 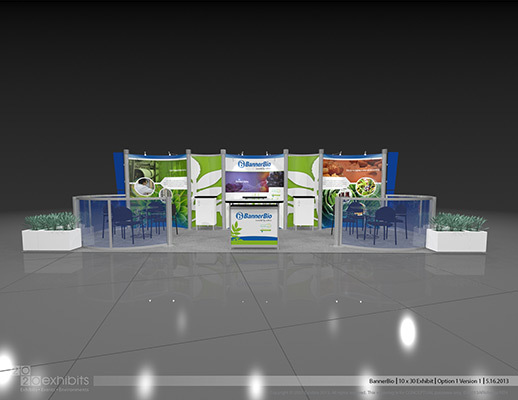 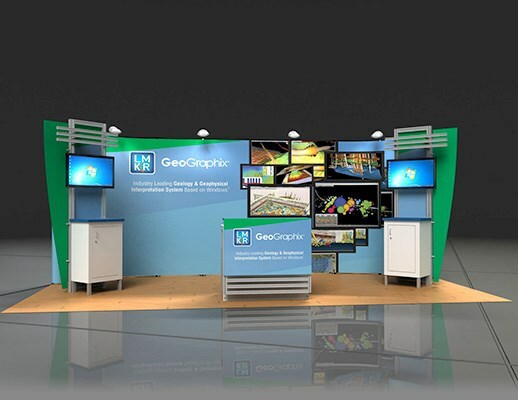 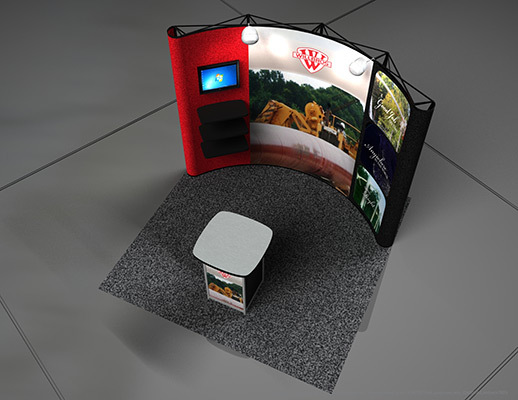 Striking graphics and multiple information desks captivate attention and draw attendees. 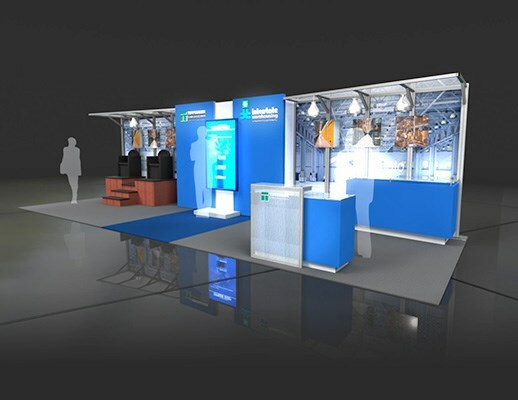 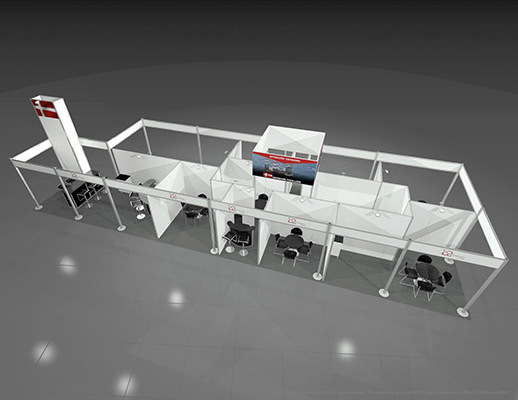 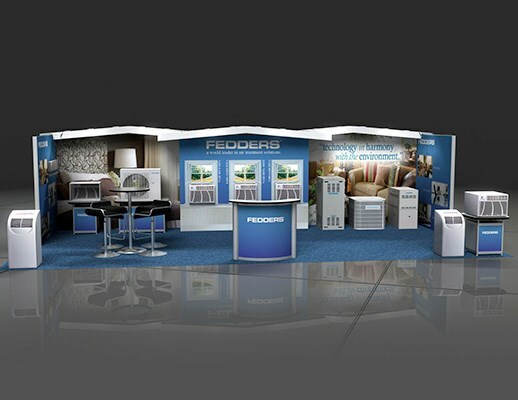 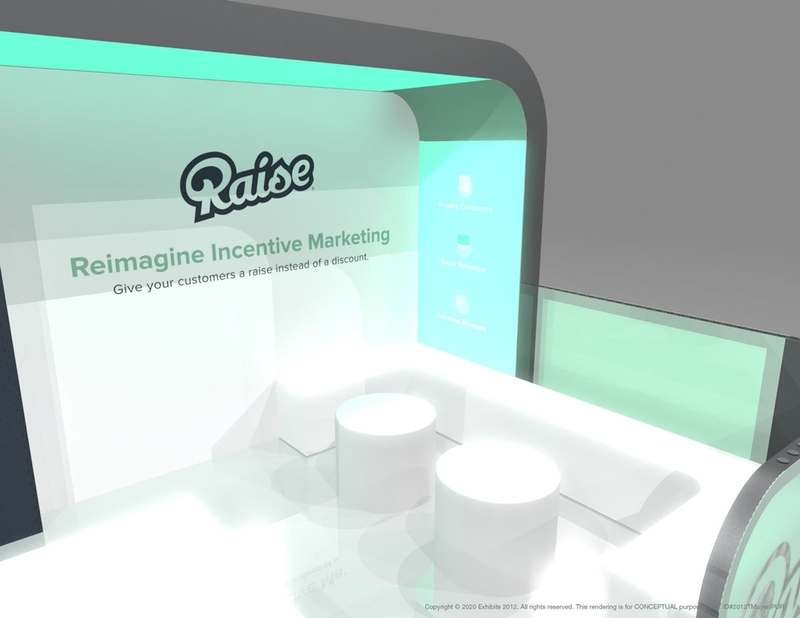 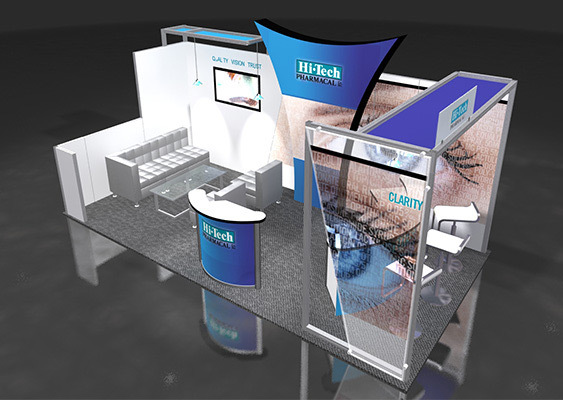 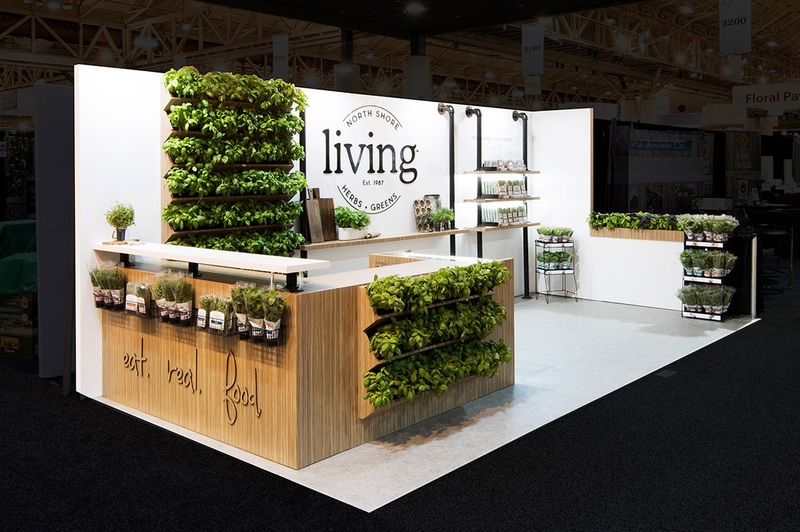 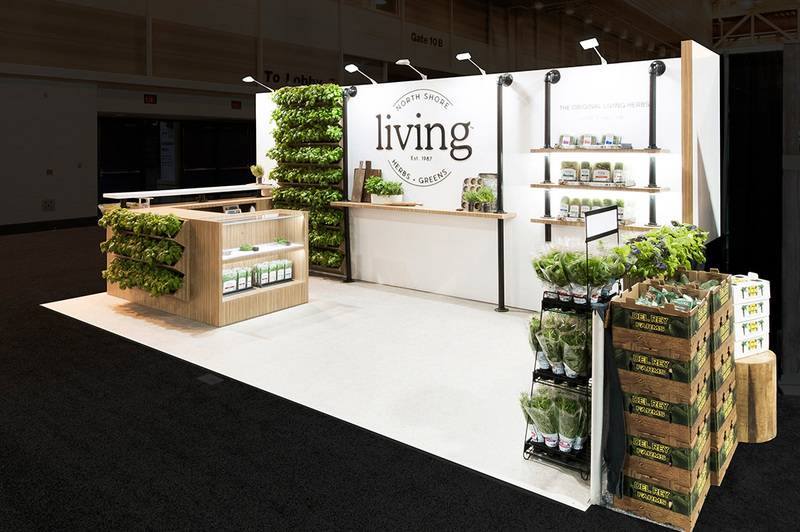 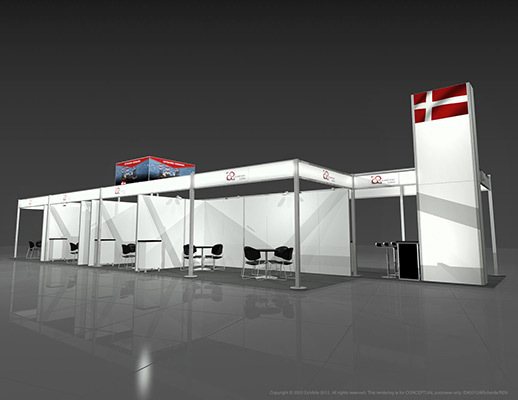 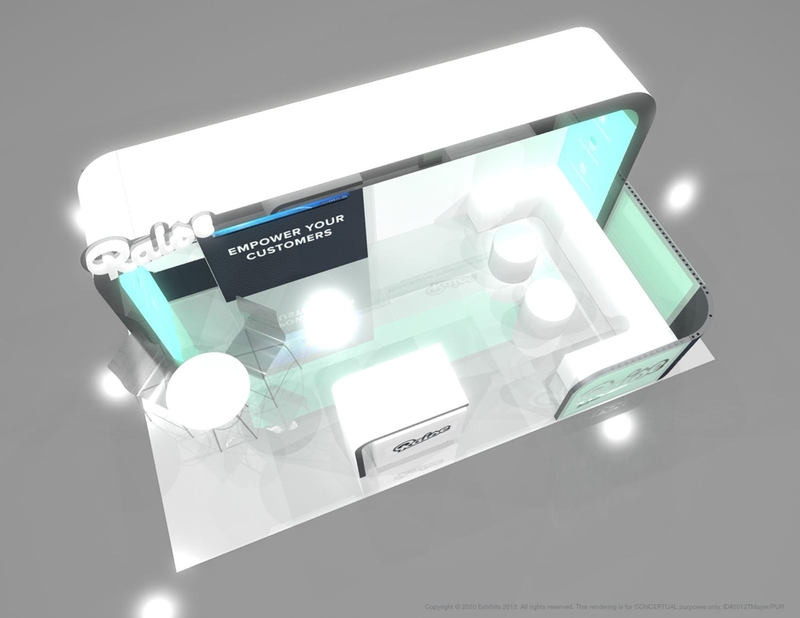 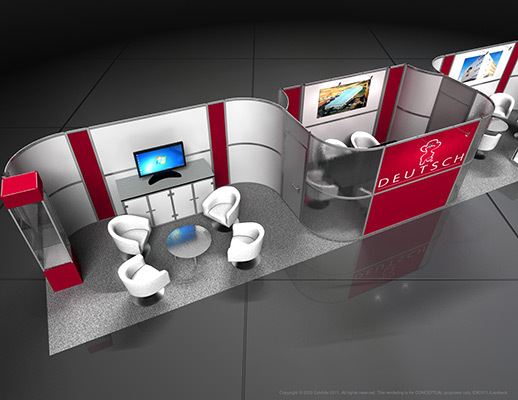 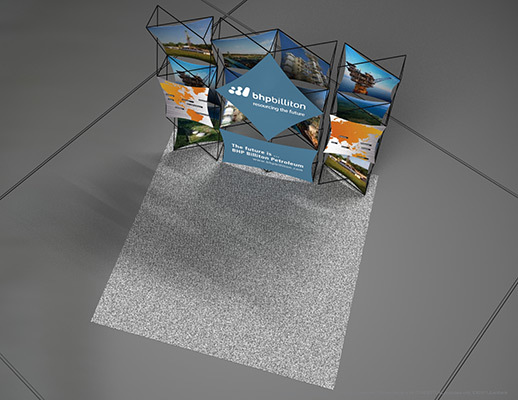 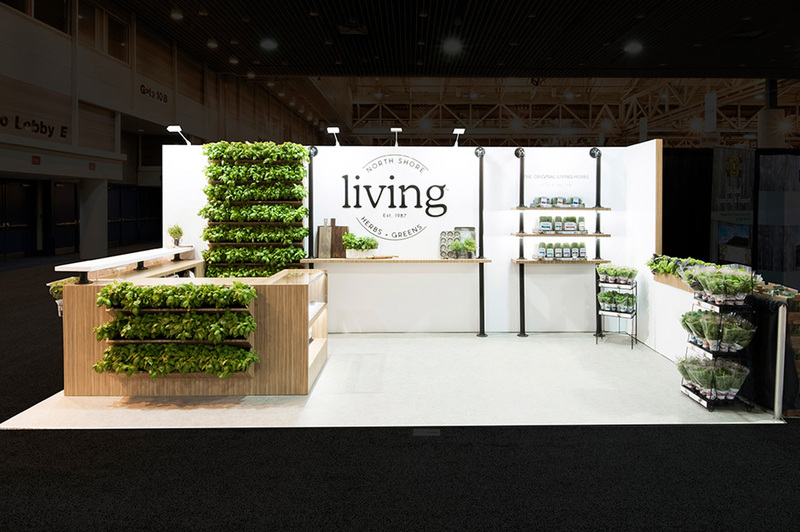 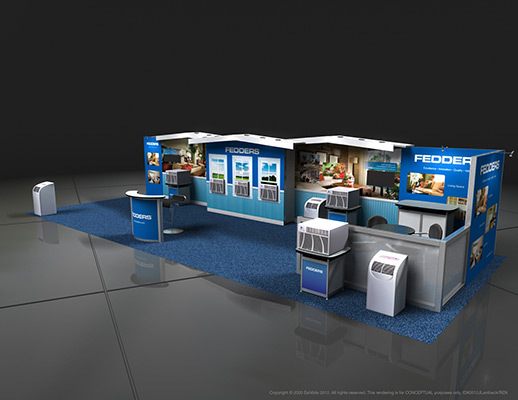 Designed to be accessible from all angles across the show floor. 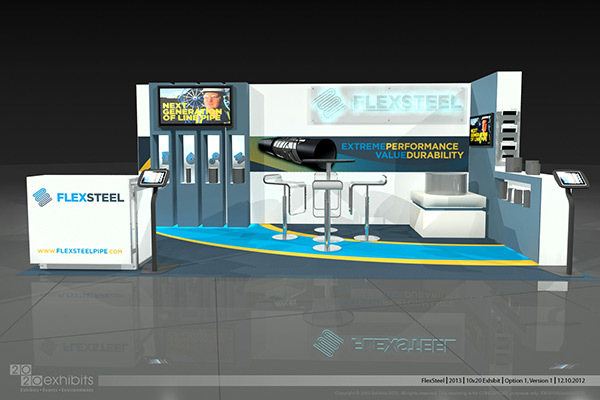 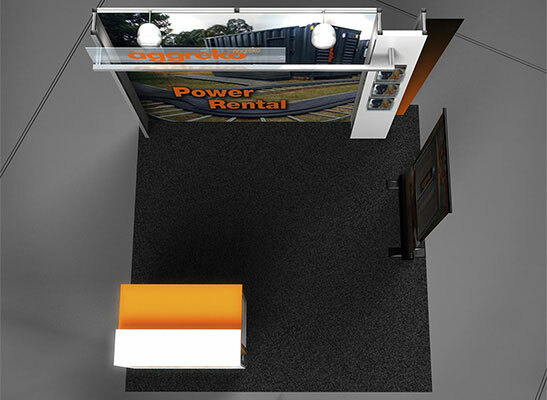 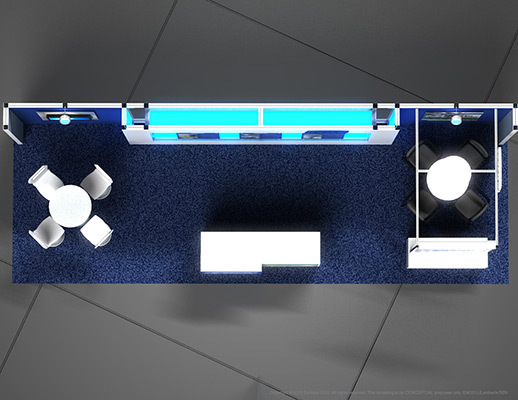 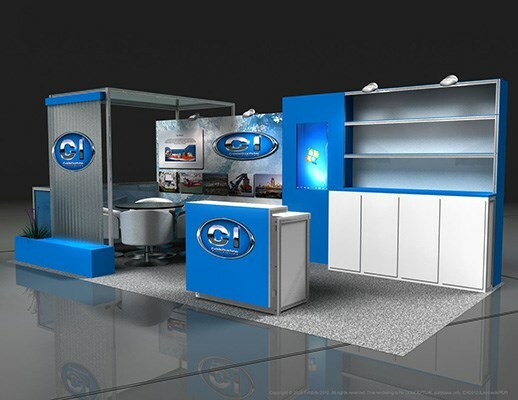 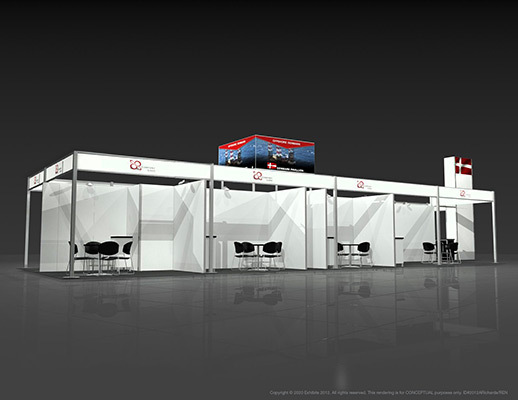 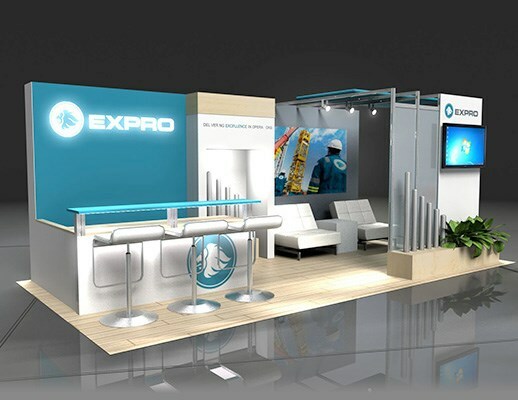 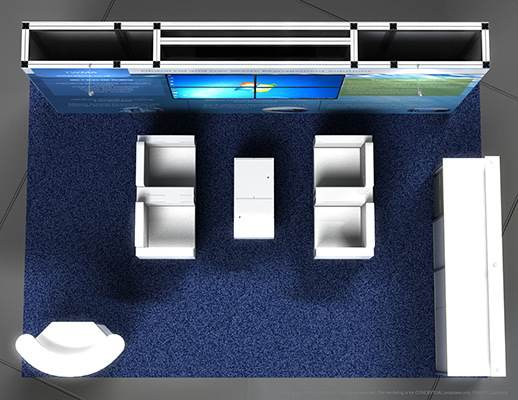 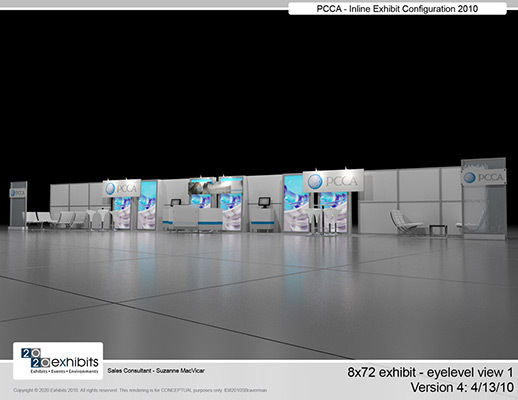 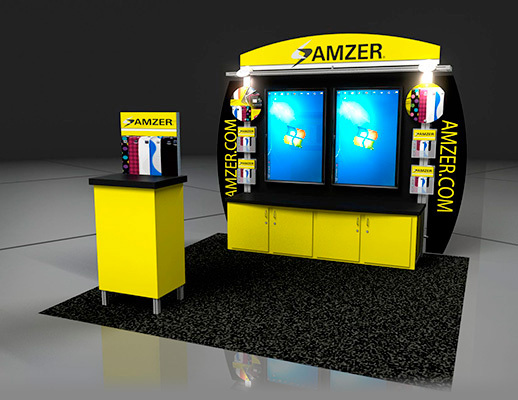 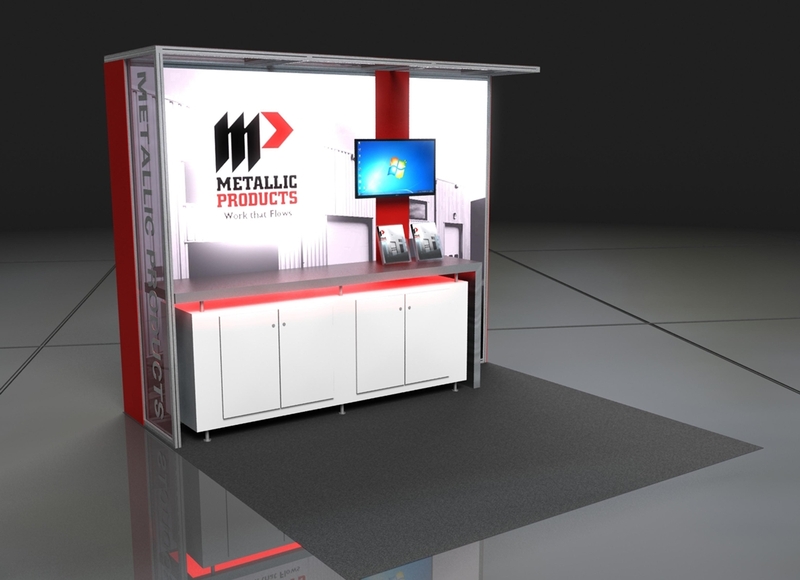 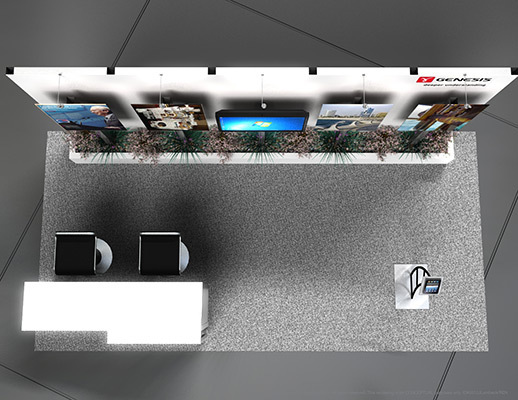 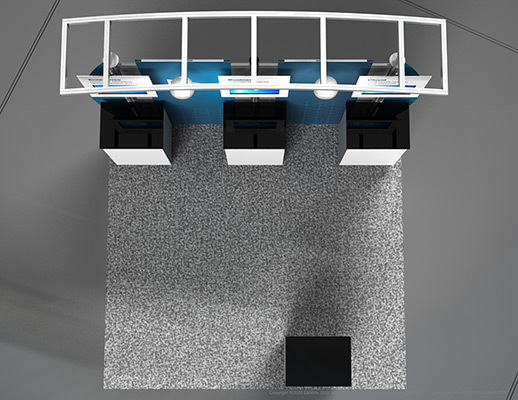 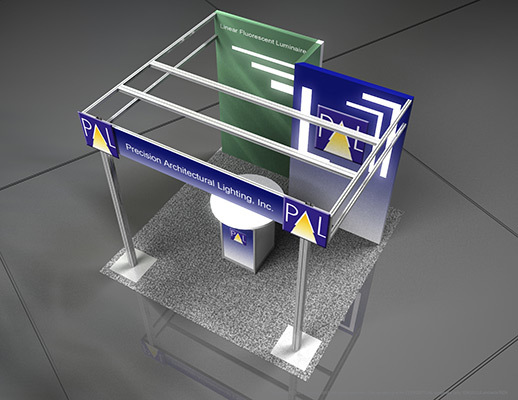 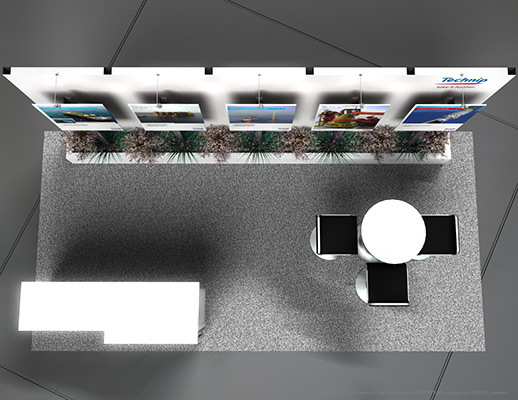 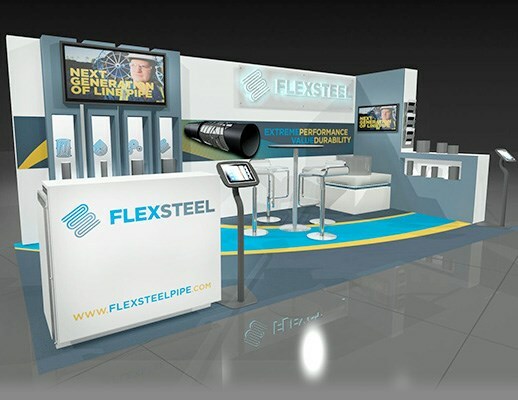 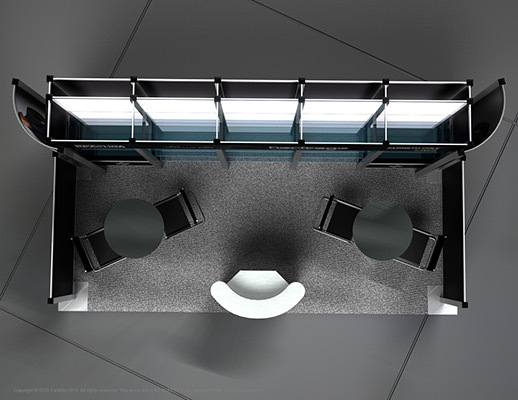 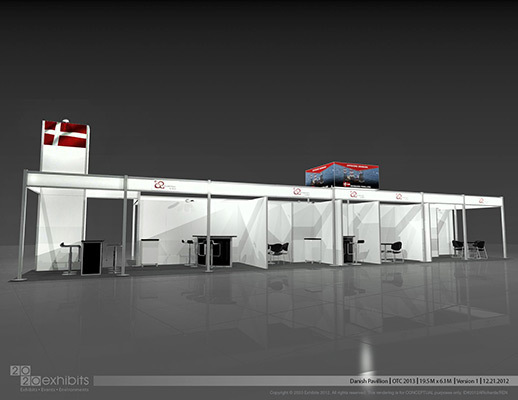 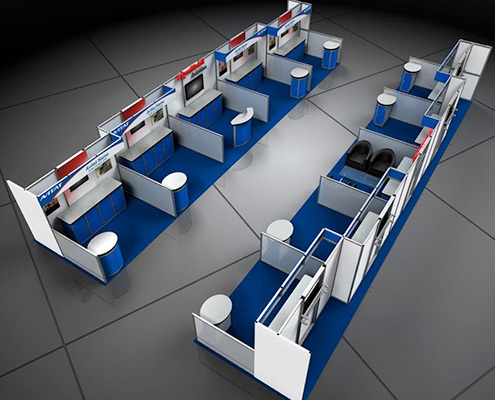 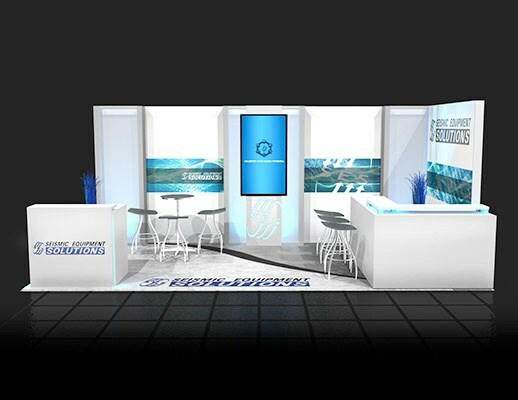 Features include: steel semi-roof and wall, reception kiosk, information kiosk, video kiosk, carpeted inlay, private meeting area, lounge seating, graphic back wall, prominent logos, overhead lighting and video monitors.